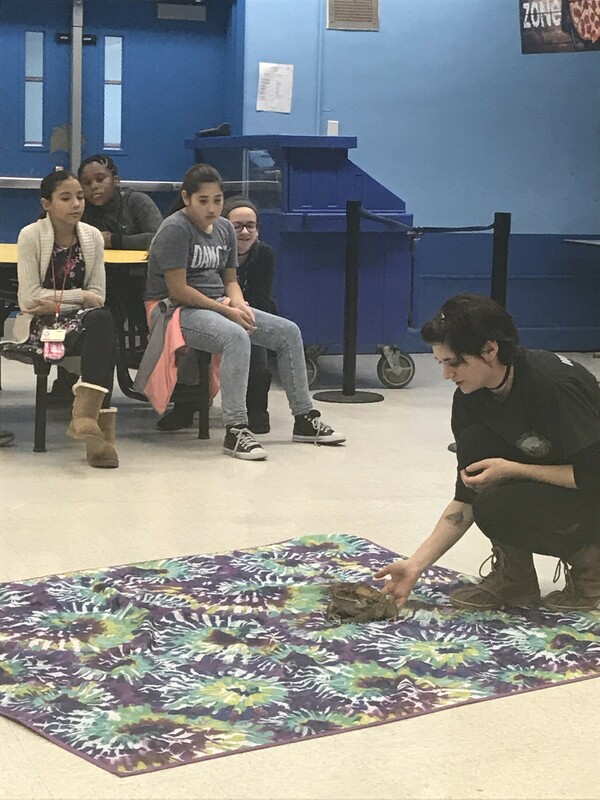 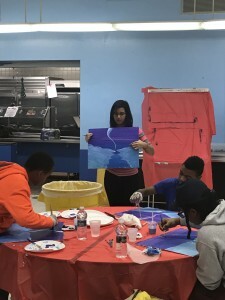 The 21st Century Community Learning Center recently participated in a ‘Maker Saturday’ program at the Liberty Science Center. 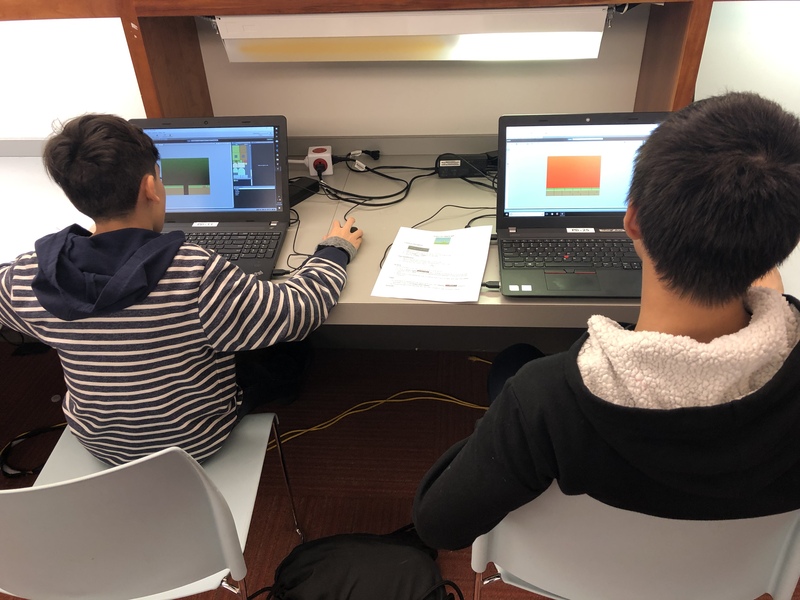 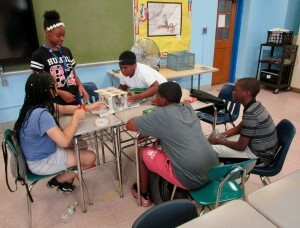 Students took an Introduction to Game Design class at the Maker Lab coordinated by LSC staff members. After completing a crash course in Stencyl, they designed custom characters with animations and behaviors. 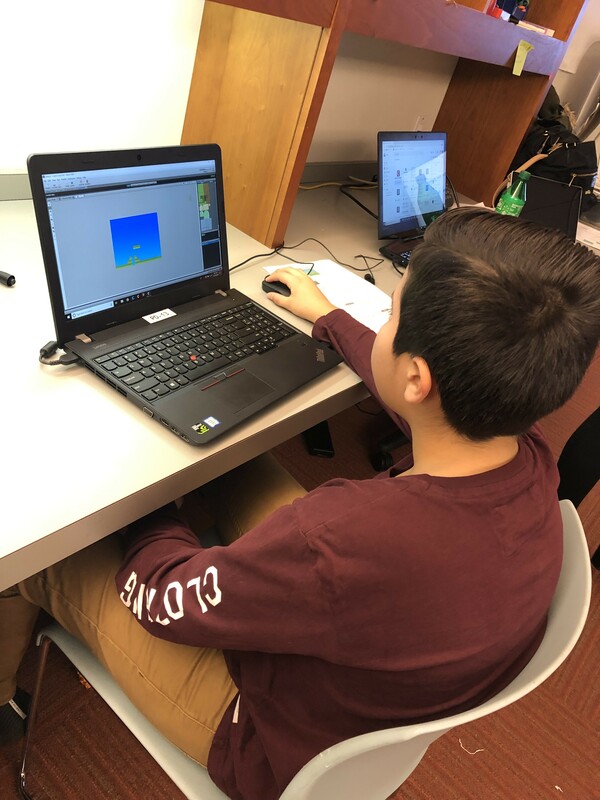 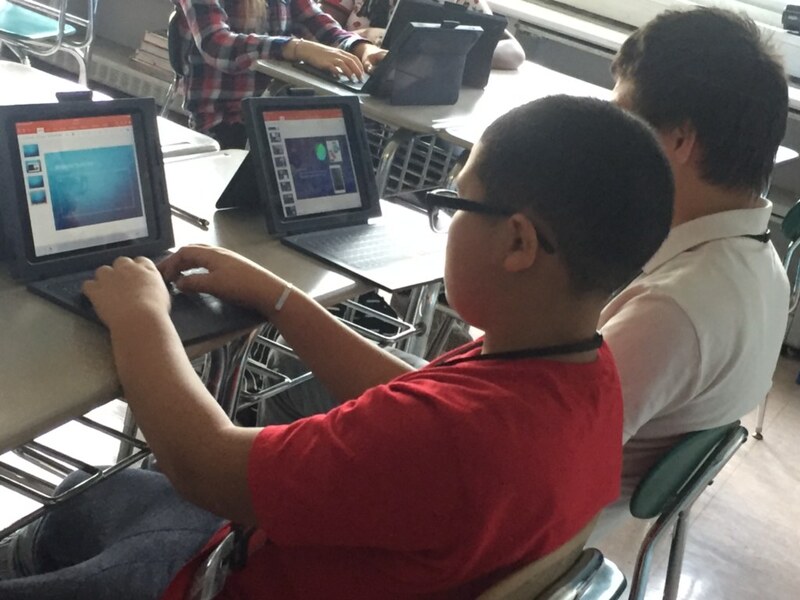 Students were then able to download their video game and create an app on their iPad to play or to continue enhancing the game. 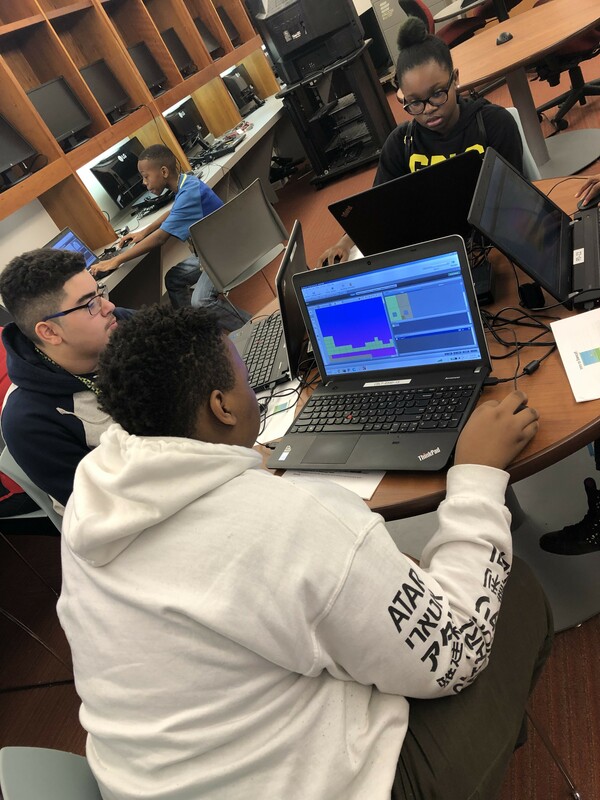 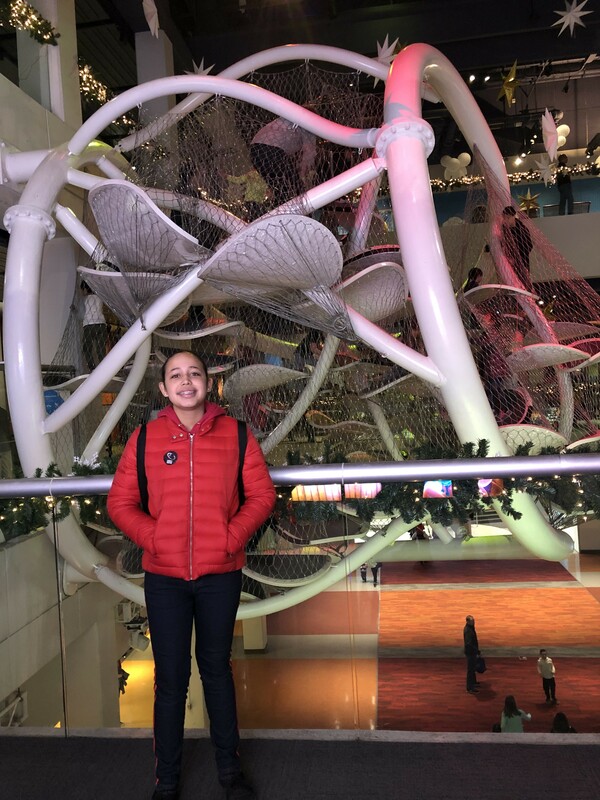 The 21st Century Maker Program will continue to provide after-school students with hands-on technology classes at the Liberty Science Center on Saturdays. 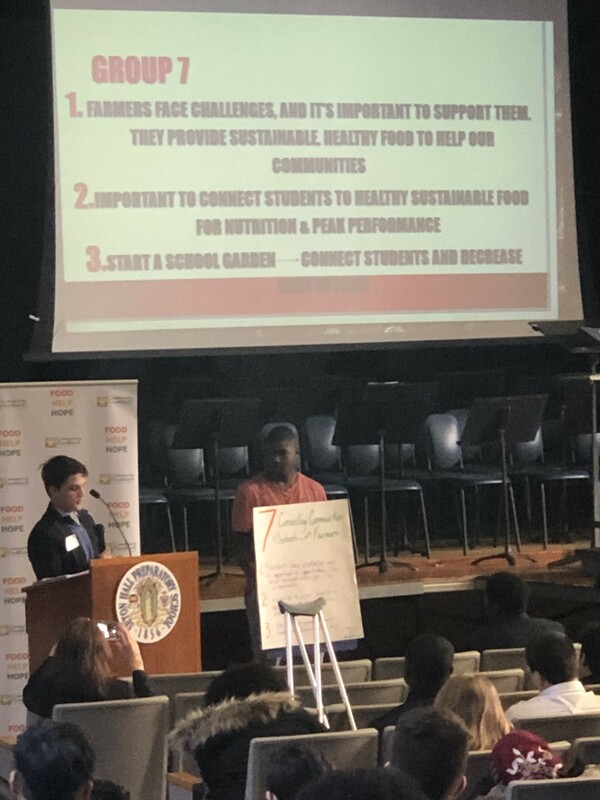 On December 4, 8th-grade students enrolled in the 21st Century Community Learning Center attended the Teen Hunger Summit at Seton Hall Prep. 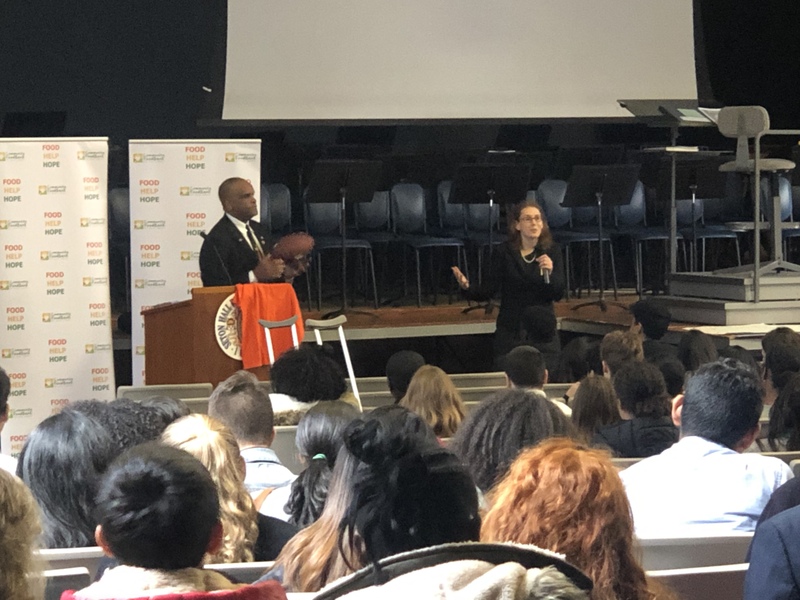 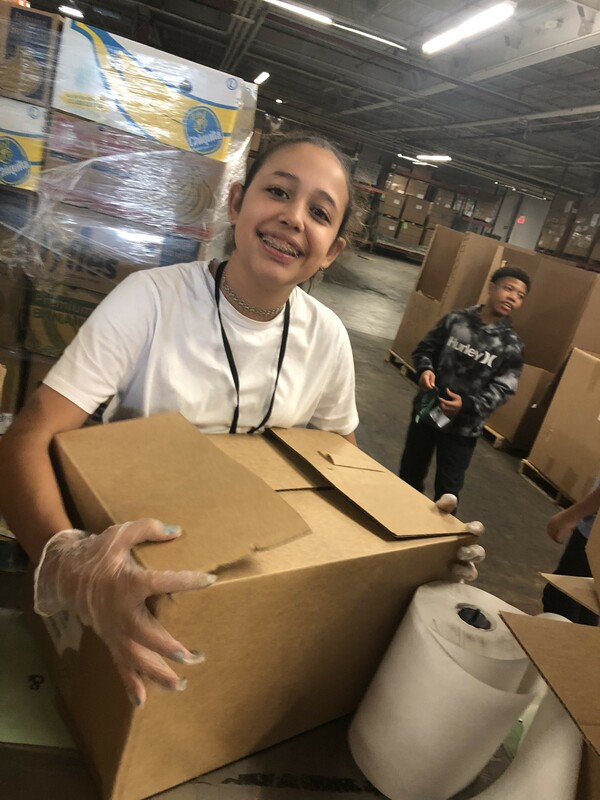 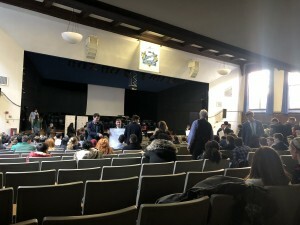 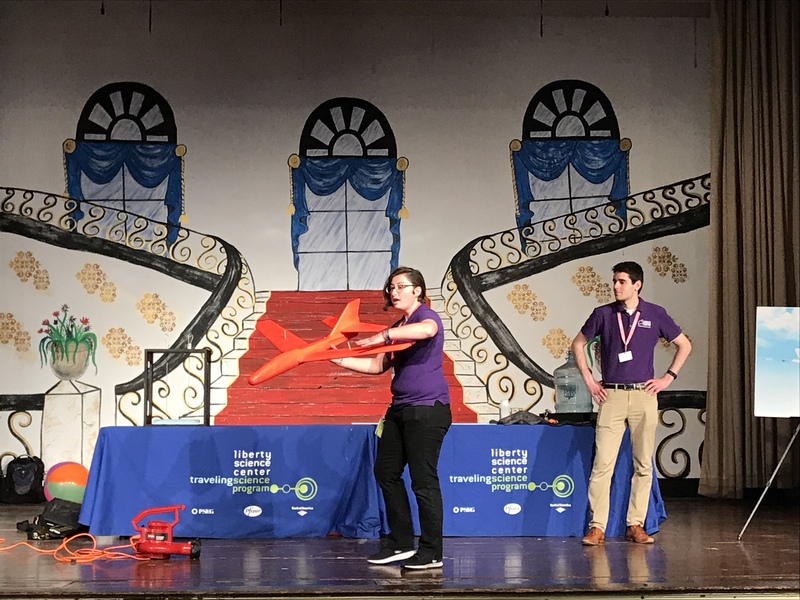 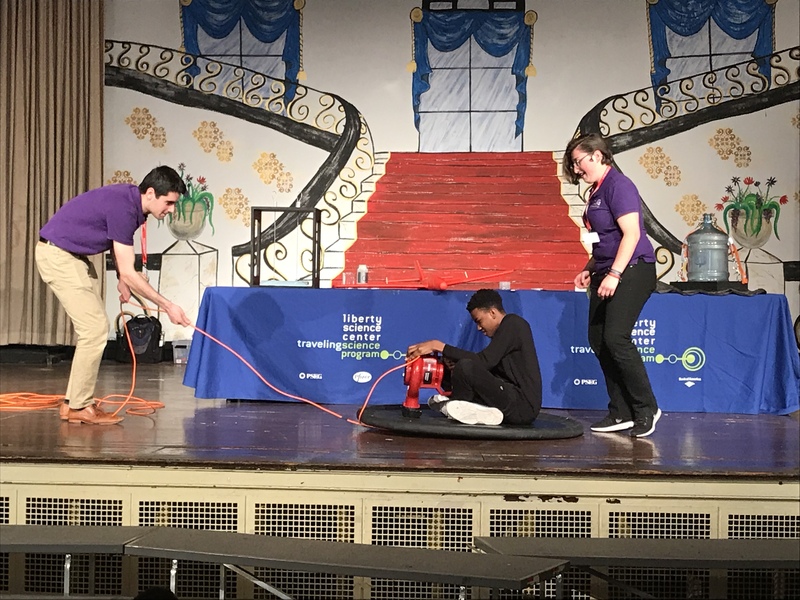 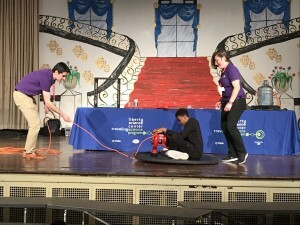 The Community Food Bank of New Jersey and Seton Hall Preparatory School partnered in hosting this event that brought together over 300 middle and high school students from across the state. 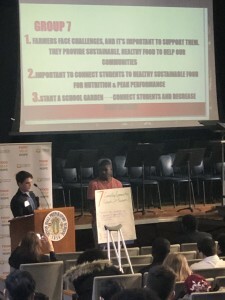 The summit aims to teach students about social justice issues related to hunger and empower them to make meaningful changes within their communities. 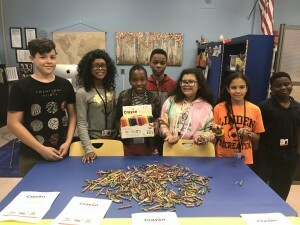 The 21st Century Community Learning Center has partnered with the Crayon Initiative to collect used and broken crayons. 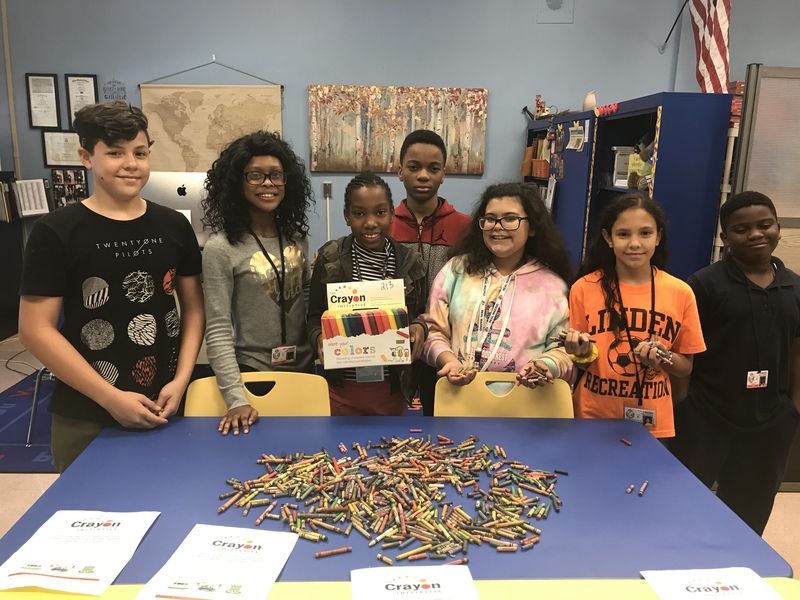 The Crayon Initiative is a unique charitable organization that recycles crayons and distributes them to children’s hospitals. These new crayons literally brighten the lives of young patients while reducing environmental waste. 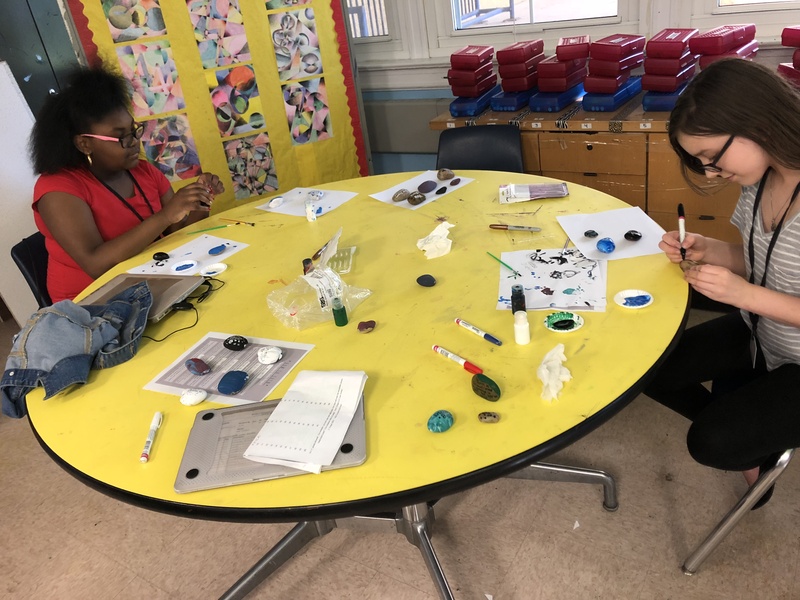 Our 21st Century students will collect the crayons throughout the program year for this important community service project. 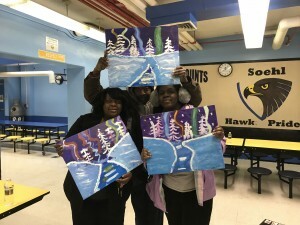 Check out this segment on NBC News 4 New York! 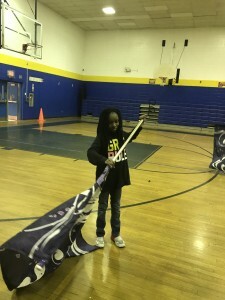 Please contact the 21st Century Office at (908) 486-0550 ext. 8787 to schedule a drop-off. 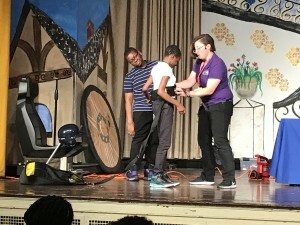 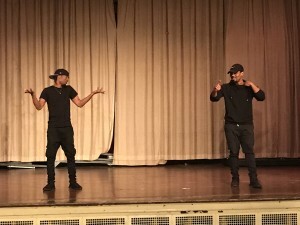 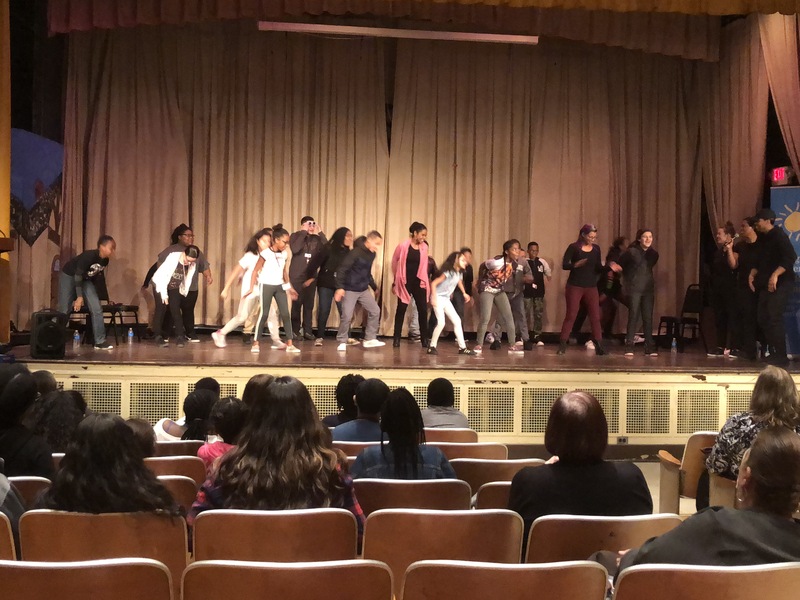 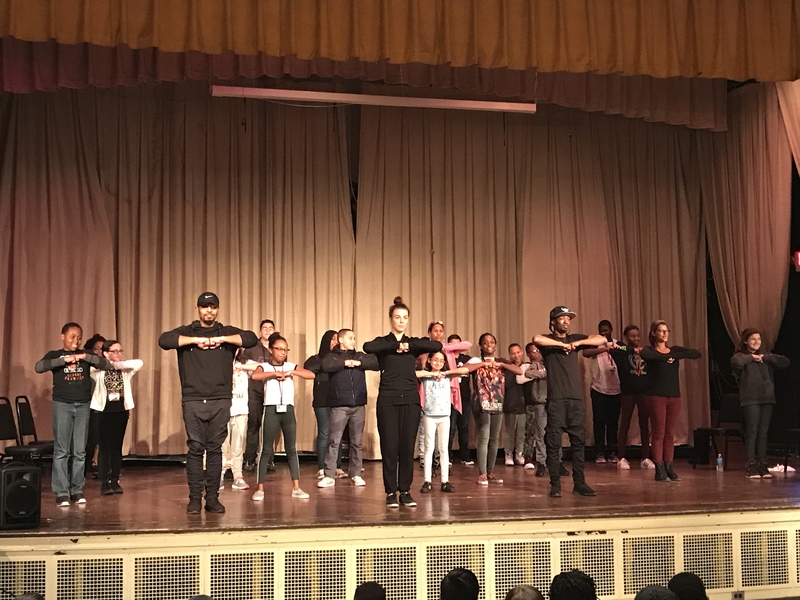 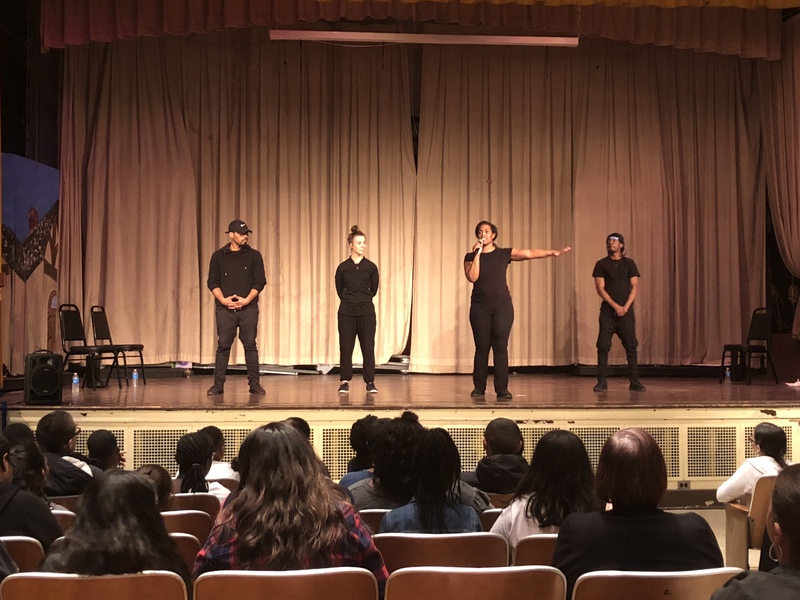 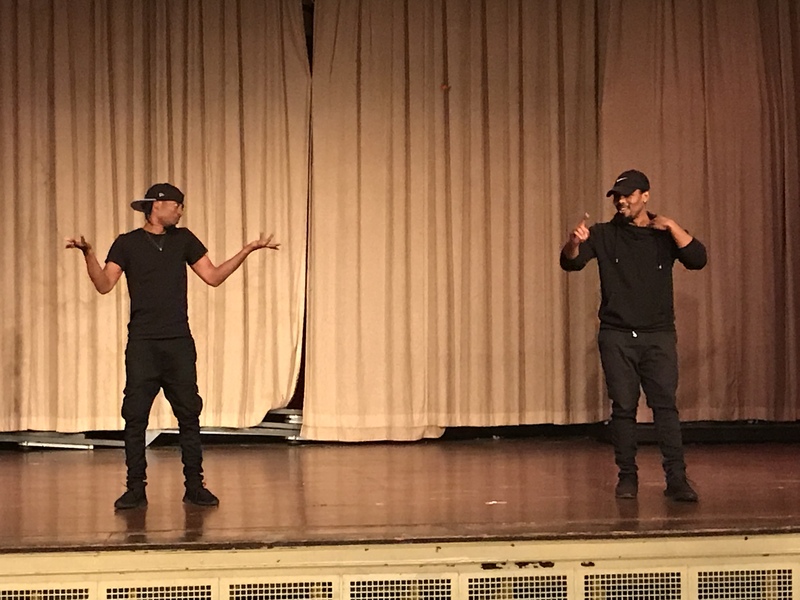 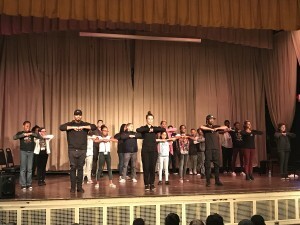 The 21st Century Community Learning Center recently hosted a Soul Step show for students and staff. 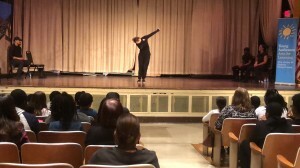 Founded in 2005 by dancer, choreographer, and producer, Maxine Lyle, Soul Step is based in the New York City area and showcases the African-American dance tradition known as “stepping.” Their mission is to expand the presence of stepping around the world while creating avenues for cultural exchange and awareness among diverse communities. 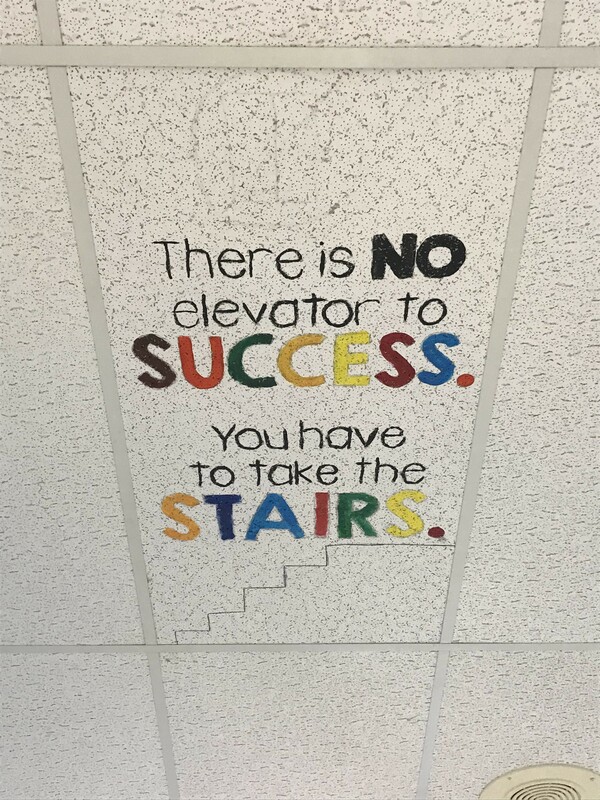 Soul Step brings step everywhere! 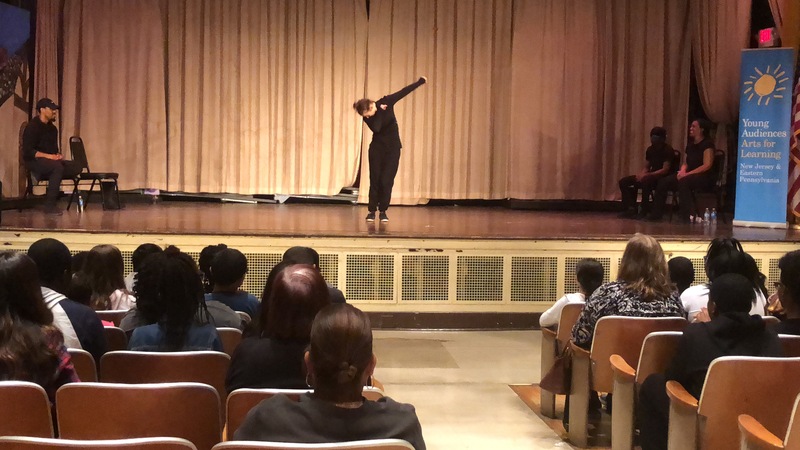 From school workshops in Brooklyn, to partnerships with U.S. embassies across the globe, to Paris Fashion Week, to a cameo in an indie rock band video, Soul Step embraces every opportunity to expose diverse communities to the magnetism and dynamic power of step-dancing. 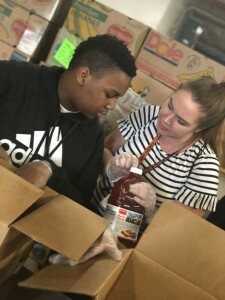 The 21st Century Community Learning Center recently visited the Community Food Bank of Hillside. 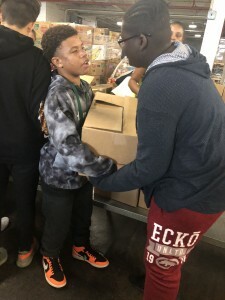 Two eighth-grade classes volunteered to help the food bank with a donation sorting project. 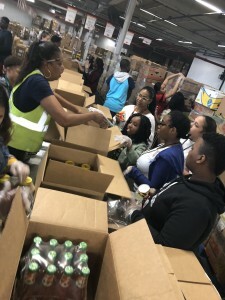 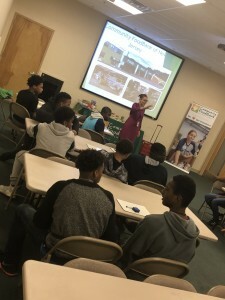 Program students also attended a leadership-building workshop coordinated by the food bank staff. 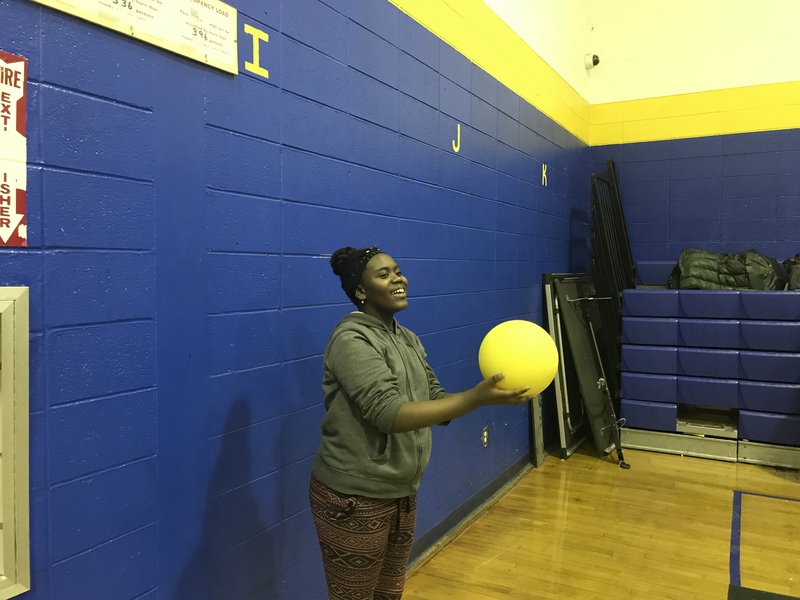 Volunteer programs like this offer students an opportunity to make a positive impact on their community in a safe, fun environment. 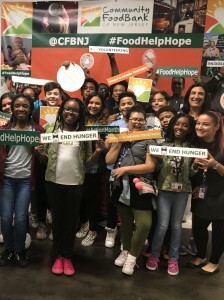 As a result of these efforts, the Community Food Bank of New Jersey – the state’s largest anti-hunger and anti-poverty organization – is able to distribute food to its network of partner charities. 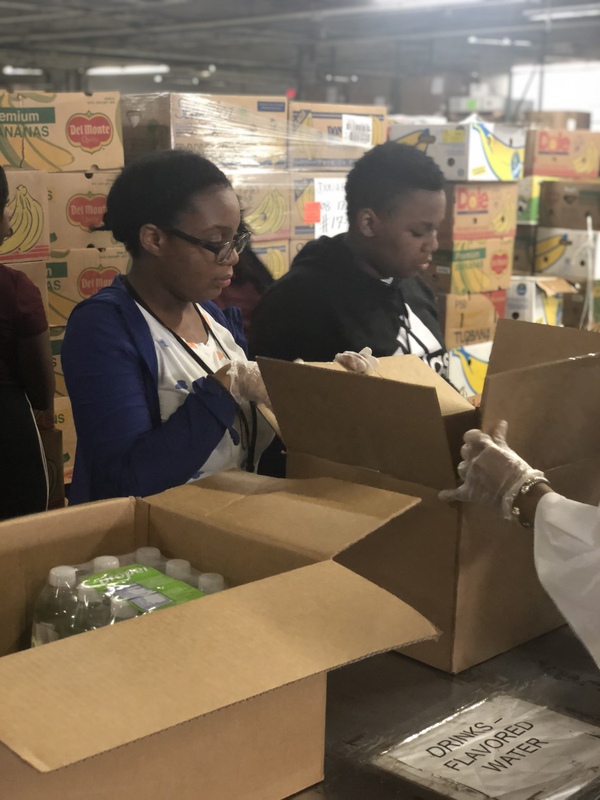 All of these agencies serve our neighbors in need throughout the state. This important community service project was a meaningful and rewarding experience for all of our students and staff. 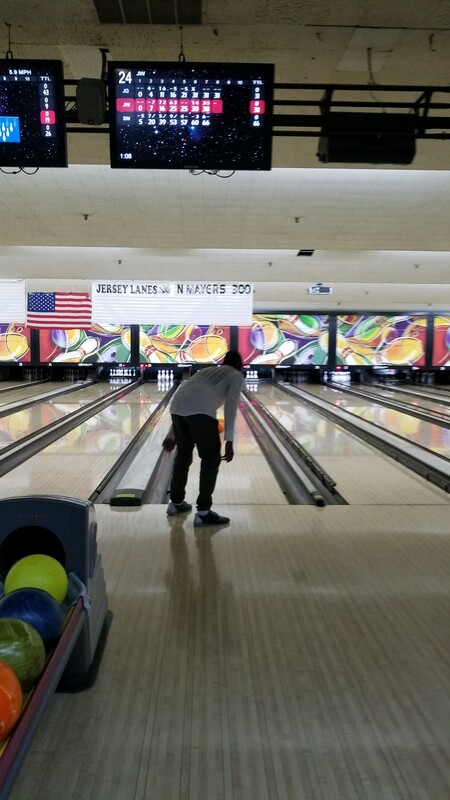 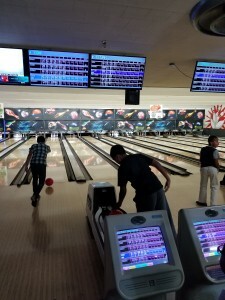 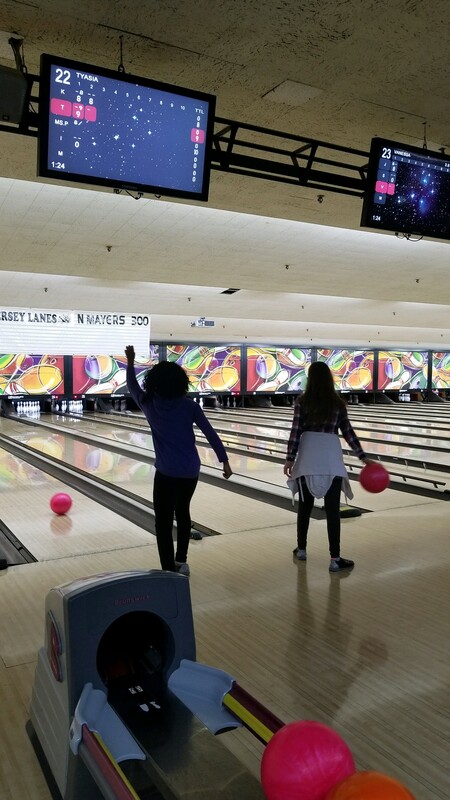 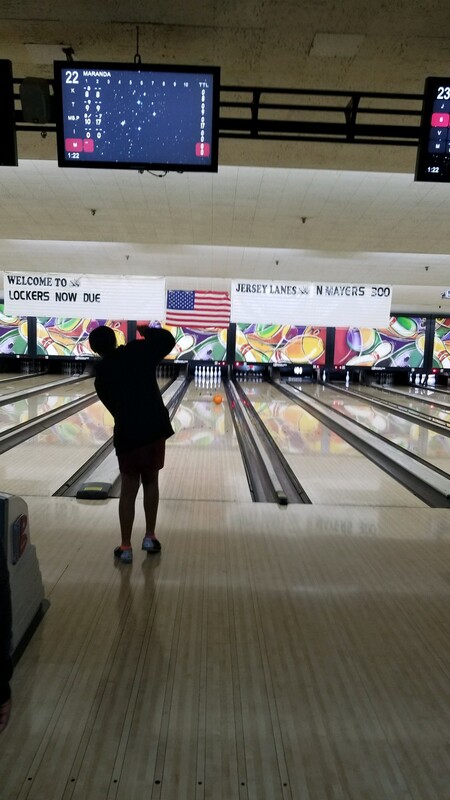 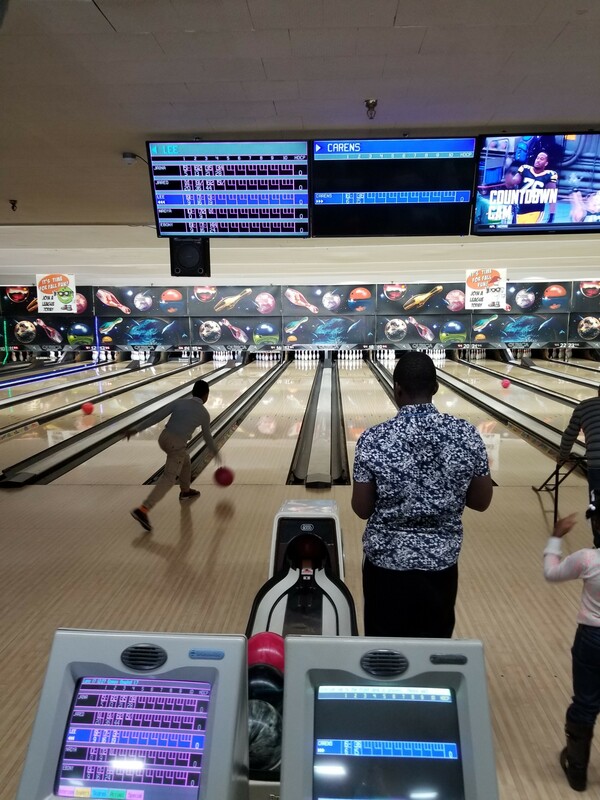 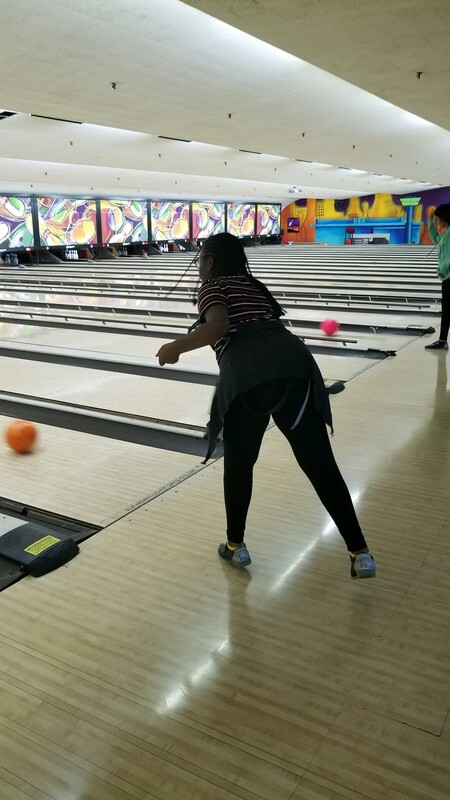 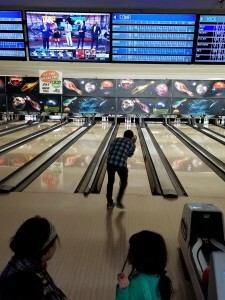 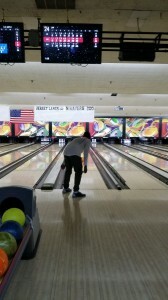 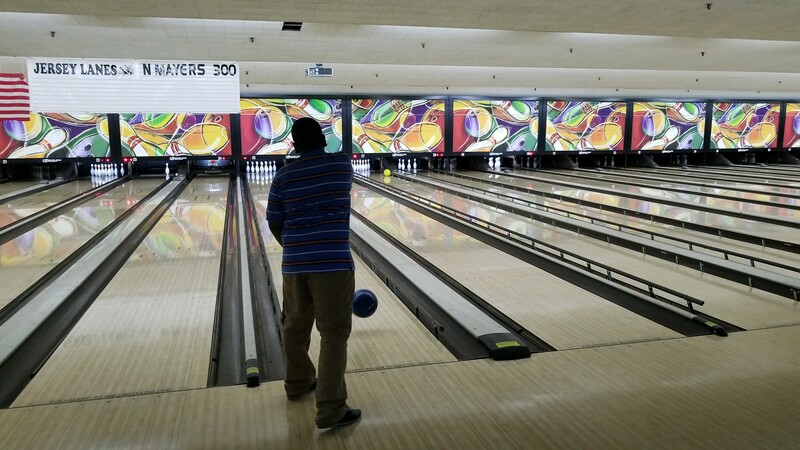 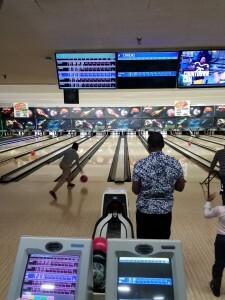 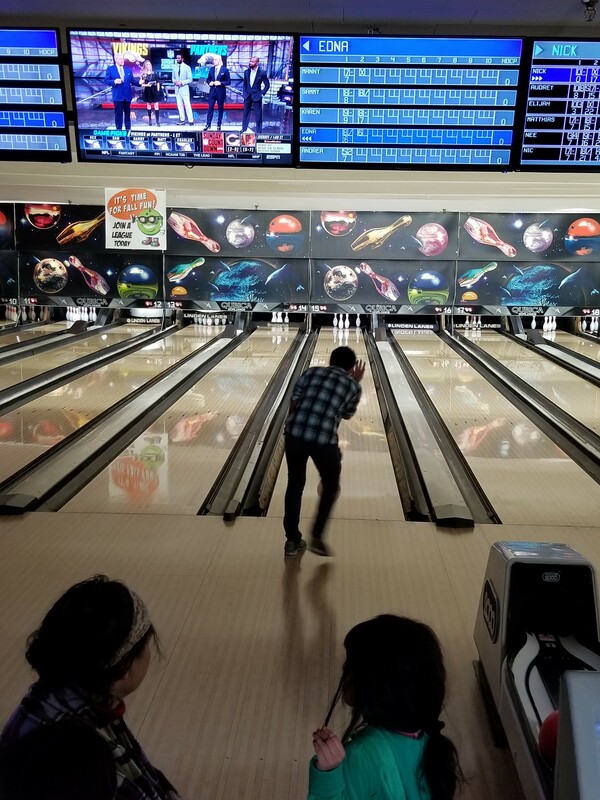 The 21st Century Community Learning Center recently took a road trip to Jersey Lanes in Linden. Program students and staff had a great time showing off their skills and even bowled a few strikes. 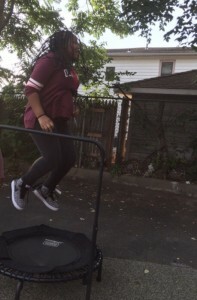 Check out the fun below! 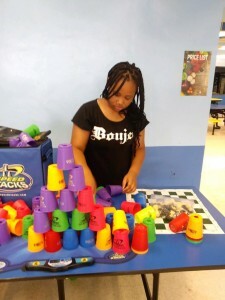 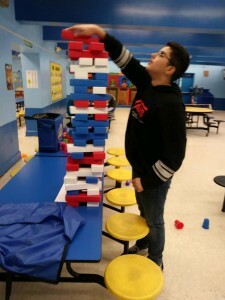 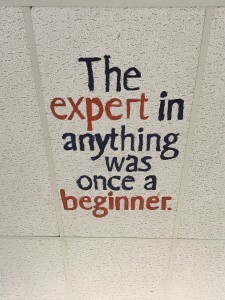 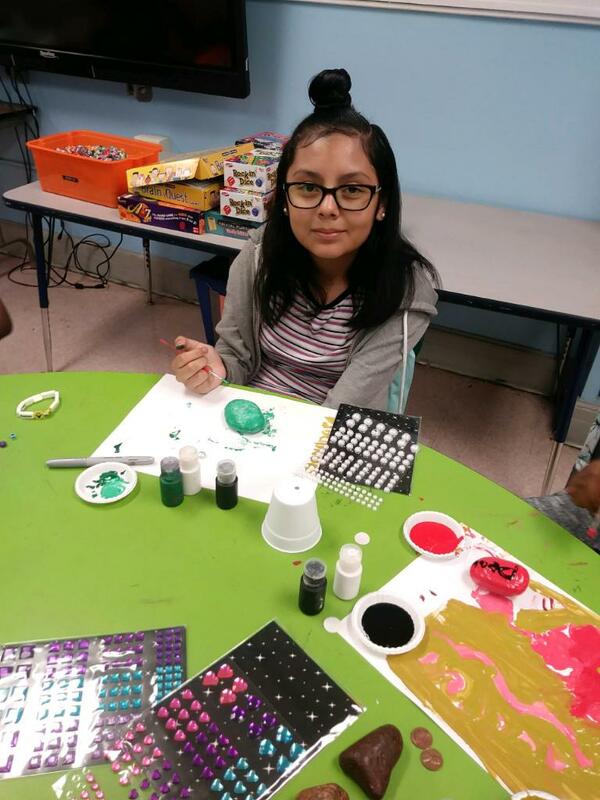 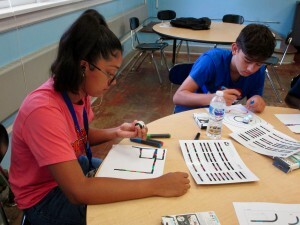 The 21st Century Community Learning Center recently completed a very successful first week of after-school programming! 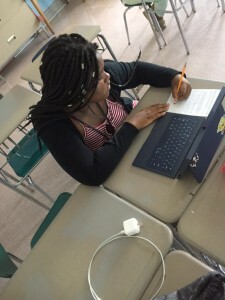 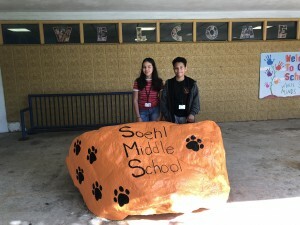 One-third of the students at Soehl Middle School are enrolled in the 21st Century program. 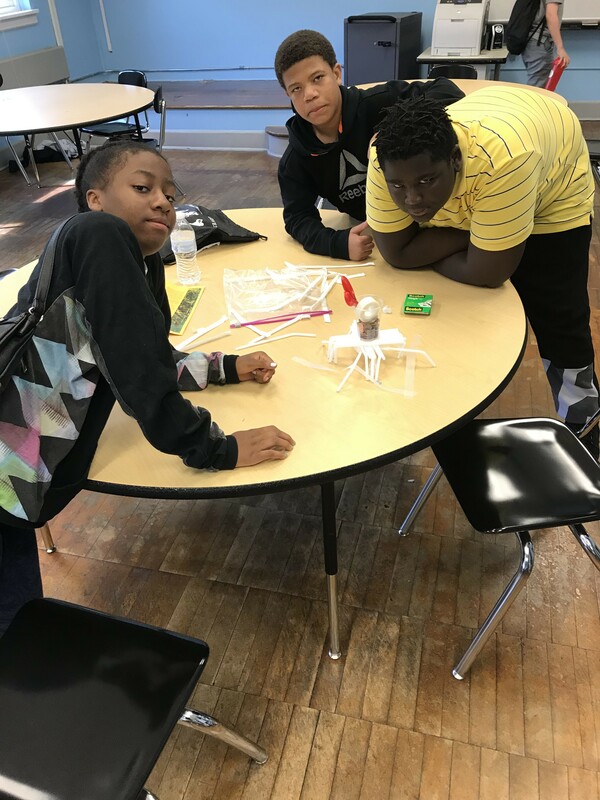 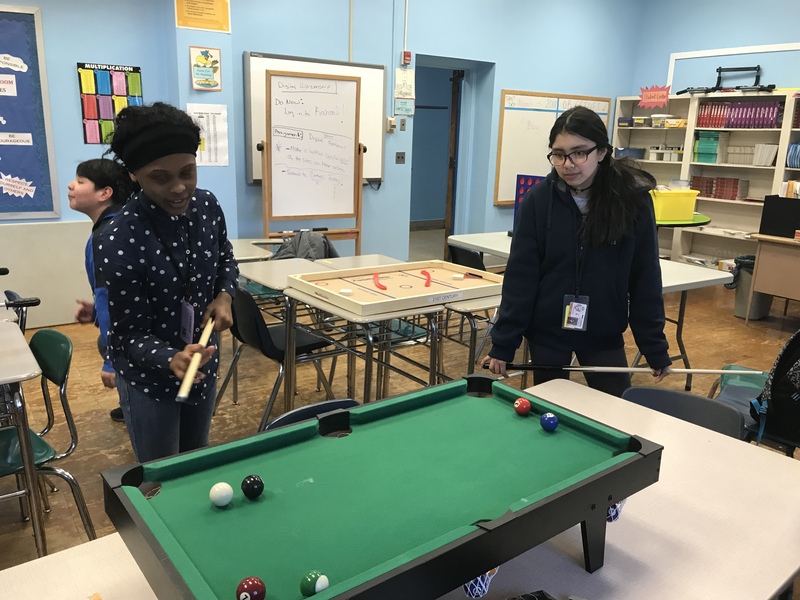 These students have the opportunity to participate in a wide variety of activities including homework tutorials, enrichment/recreation classes and special guest presentations. 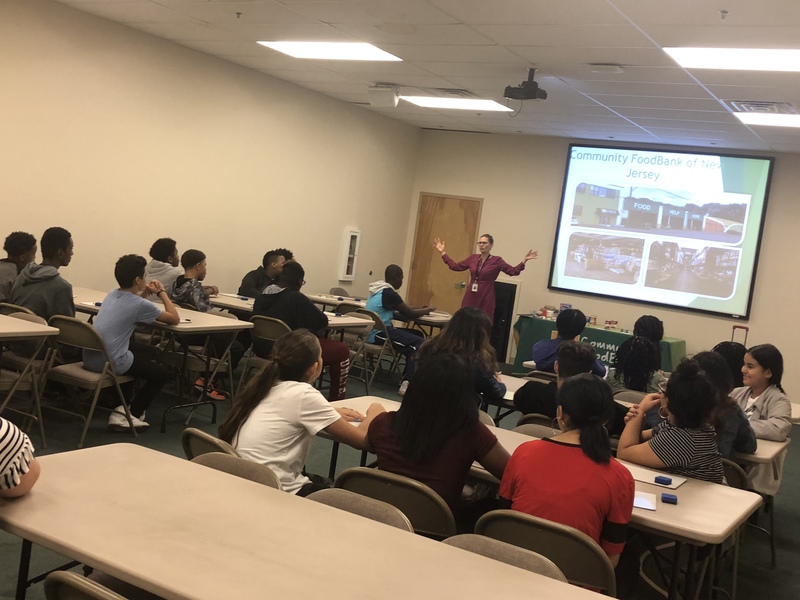 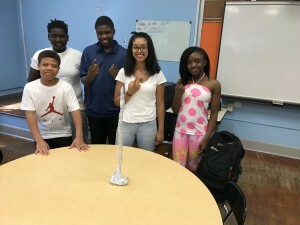 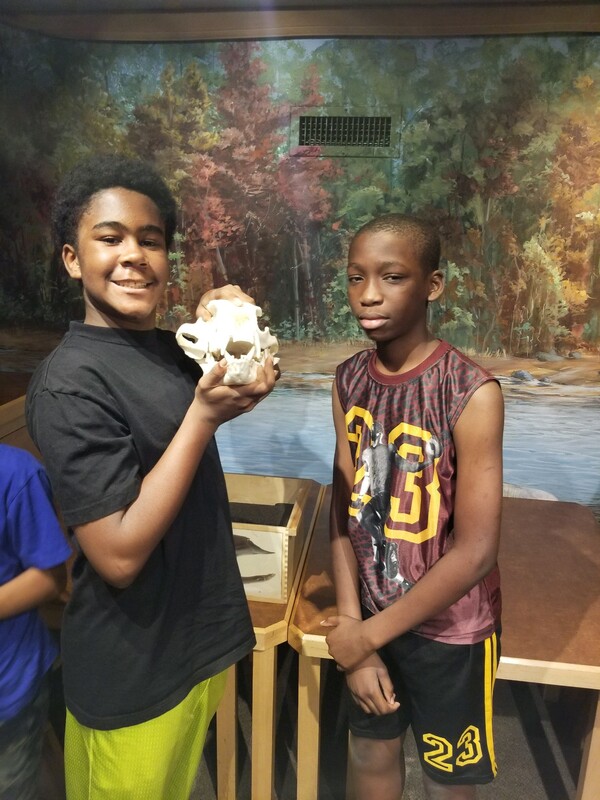 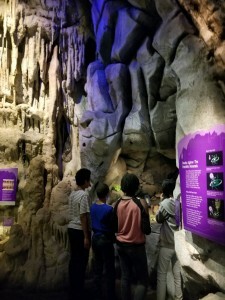 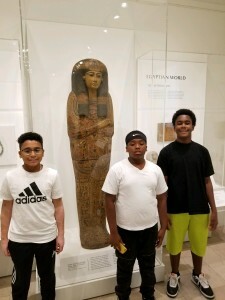 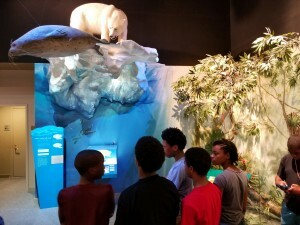 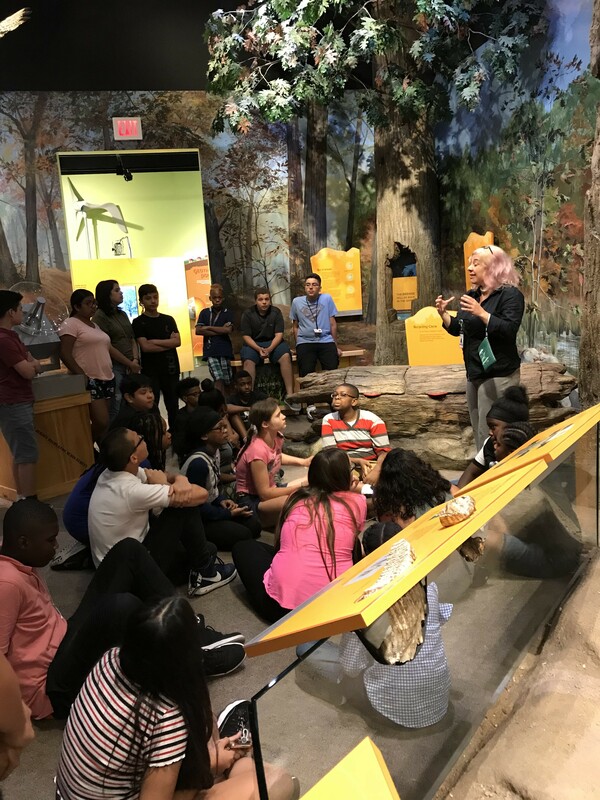 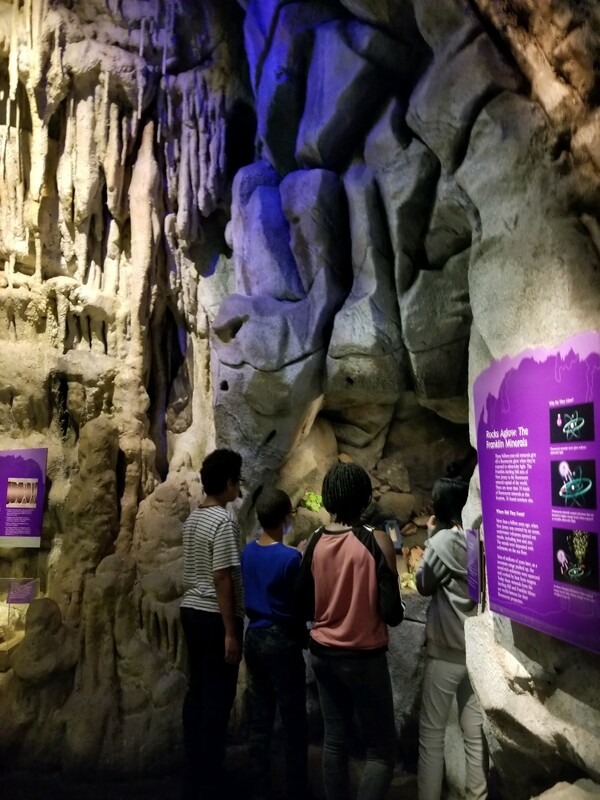 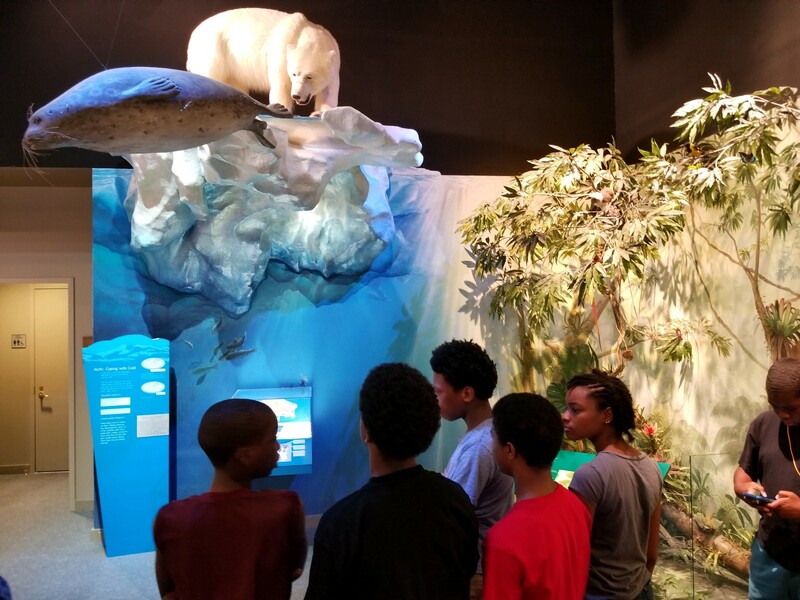 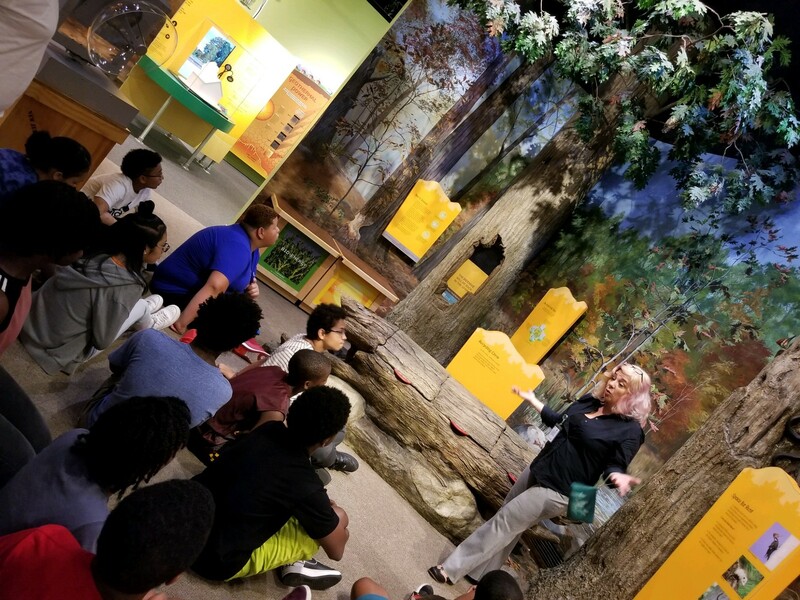 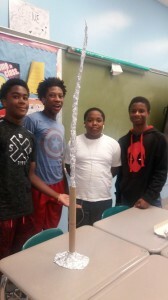 The 21st Century Community Learning Center’s Summer STEM Academy offered a wide range of educational and engaging activities. 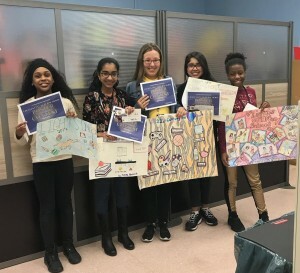 All of these projects and presentations were designed to help students build their skills in the critical areas of science, technology, engineering and math. 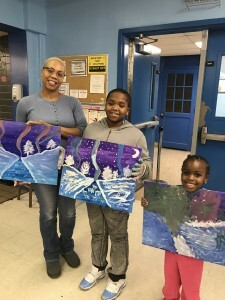 Check out the summer fun below! 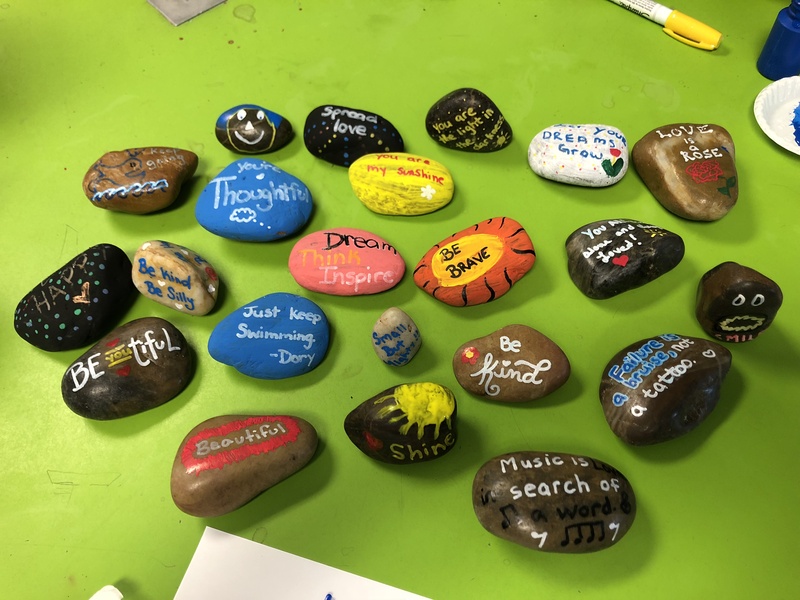 The 21st Century Community Learning Center recently participated in the Kindness Rocks Project. 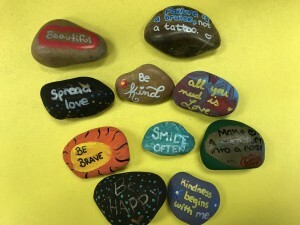 Students were given a rock along with various paints, sprays and acrylic pens. 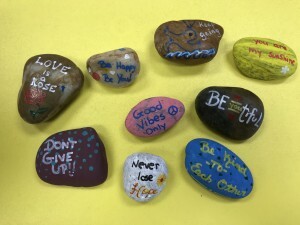 They then brainstormed motivational messages and inspirational words to decorate each rock. 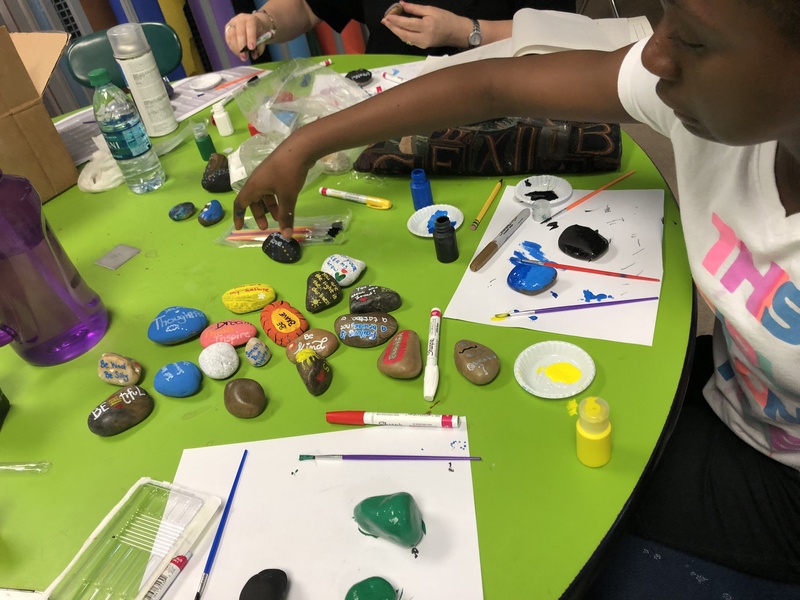 Once their designs were completed and sealed, students placed the rocks around the school grounds and other community areas. The mission of the Kindness Rocks Project is “One message at just the right moment can change someone’s entire day, outlook and life.” This national movement encourages people to leave rocks painted with inspiring messages along the path of life. For more information, please visit their website – The Kindness Rocks Project. 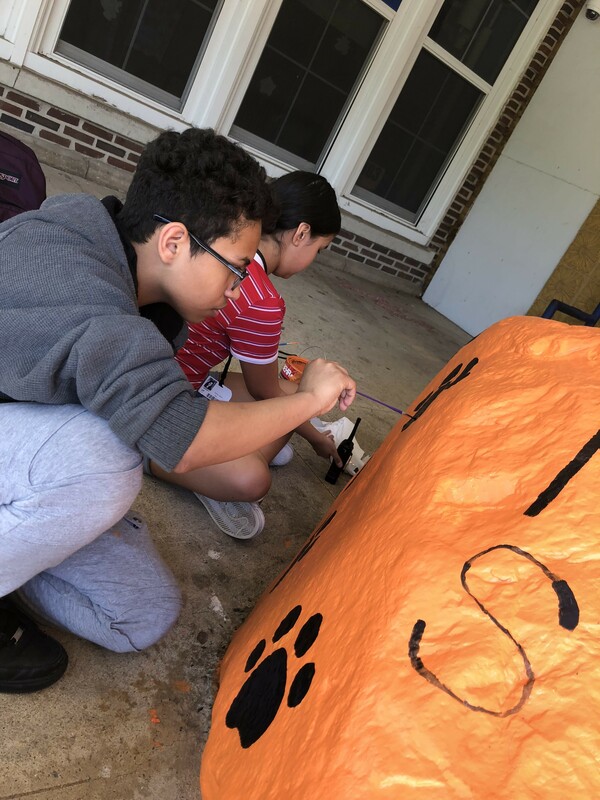 The 21st Century Community Learning Center recently showed its Tiger Pride outside Soehl Middle School. 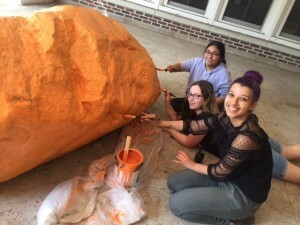 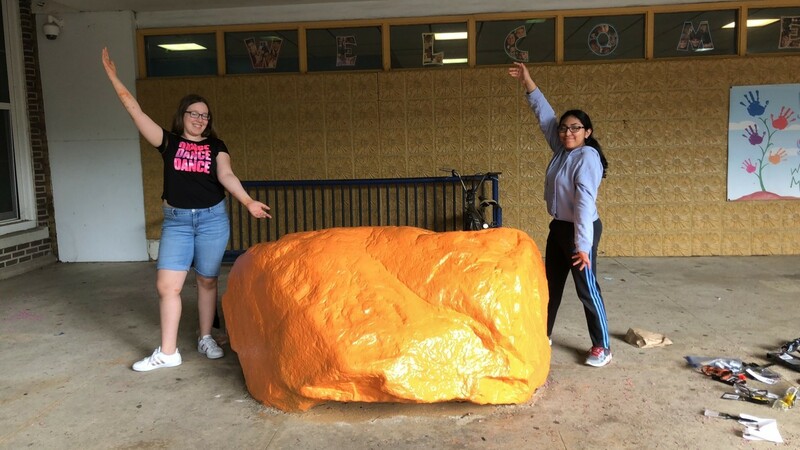 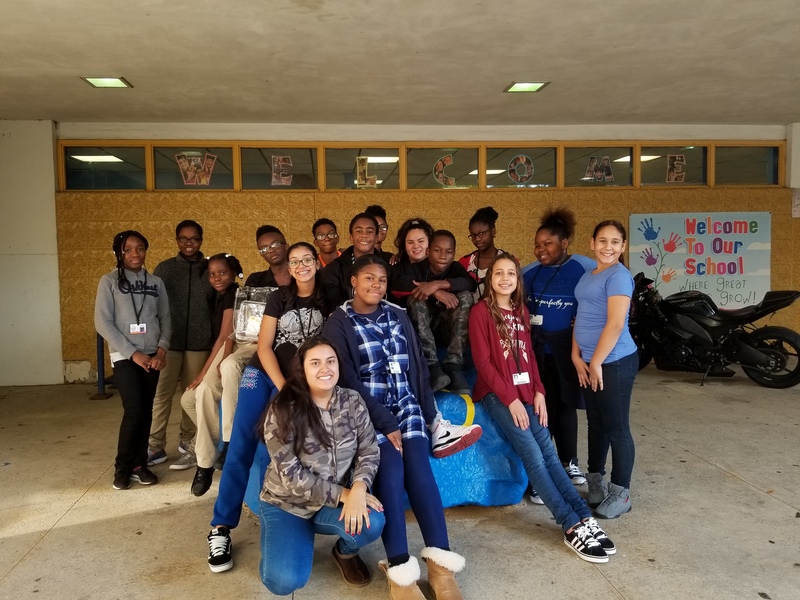 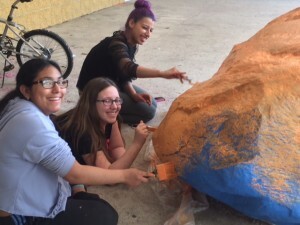 Assisted by teacher and artist Ms. Garcia, students repainted the large rock on Henry Street. 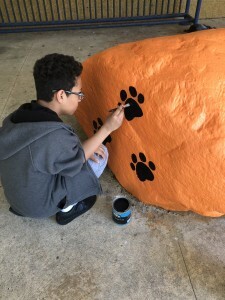 Our Linden colors – orange and black – will now welcome all visitors. 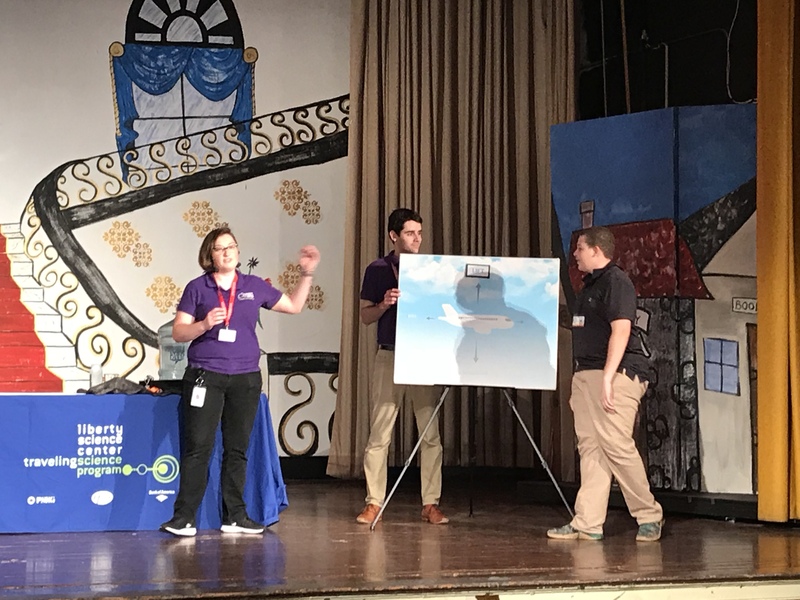 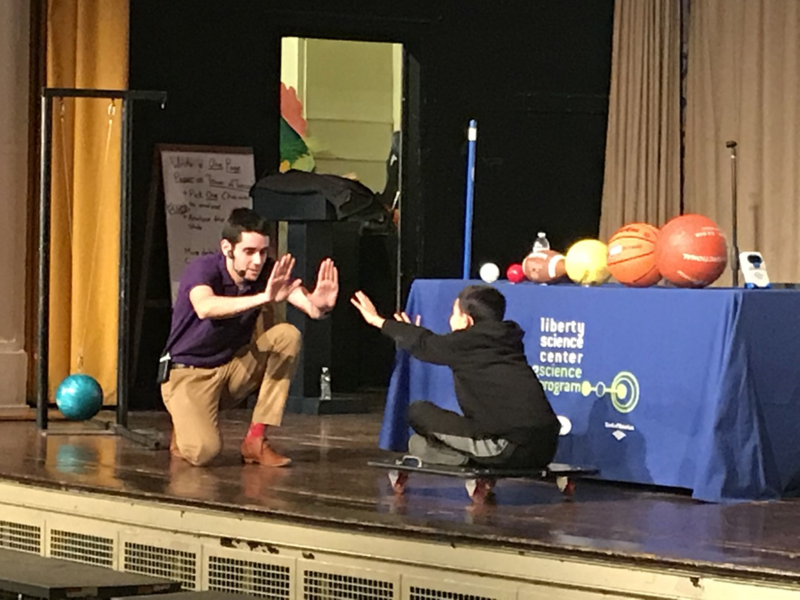 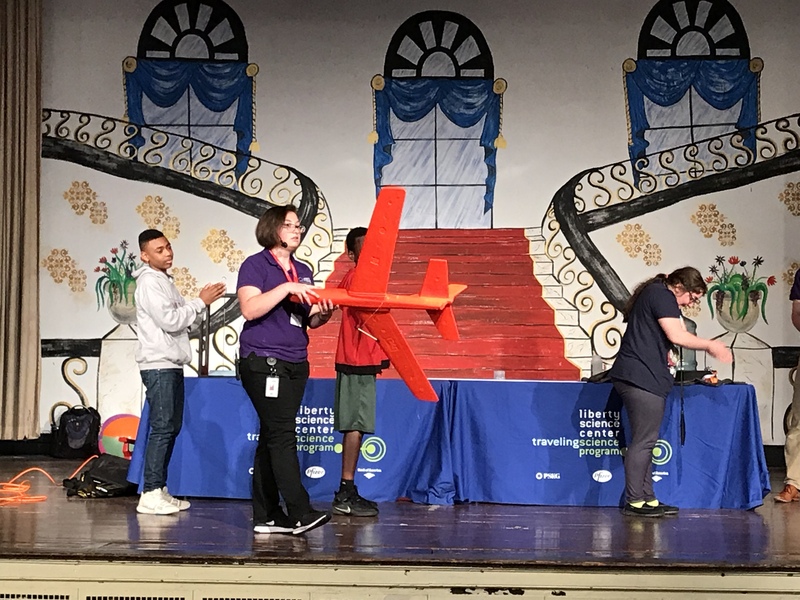 On May 15, the Liberty Science Center visited the 21st Century Community Learning Center and presented an interactive workshop called “The Science of Flight.” LSC staff members helped the after-school program students investigate aviation and the four forces of flight in an educational and entertaining way. 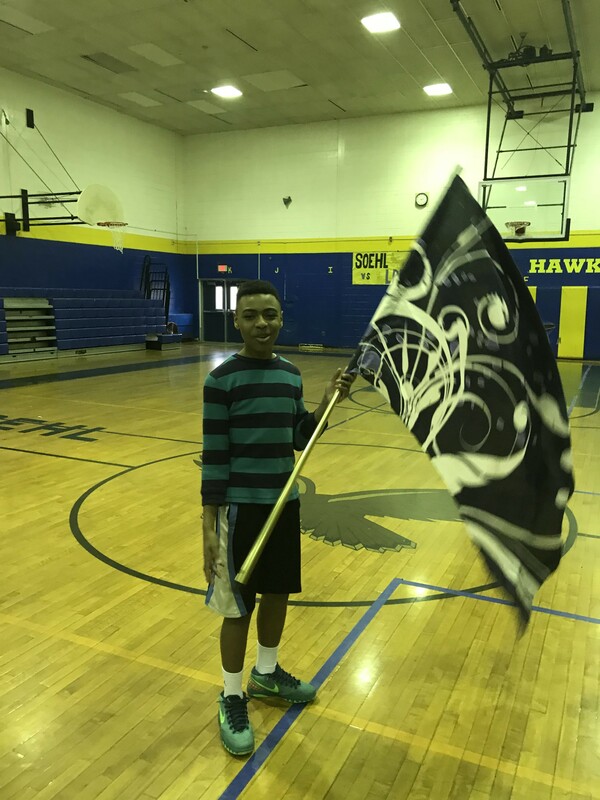 Soehl Middle School students are now ready to soar! 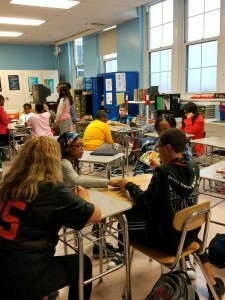 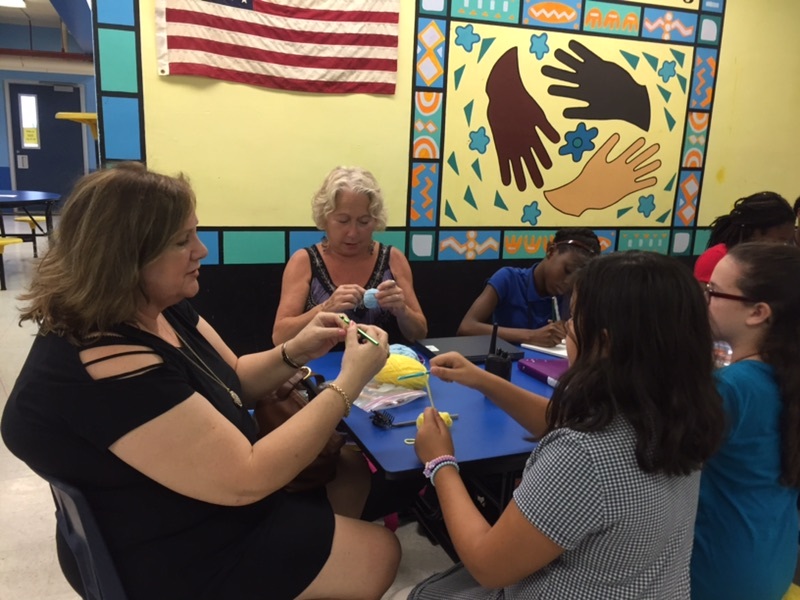 The 21st Century Community Learning Center provides weekly mentoring sessions coordinated by our guidance counselor, Ms. Pellettiere. 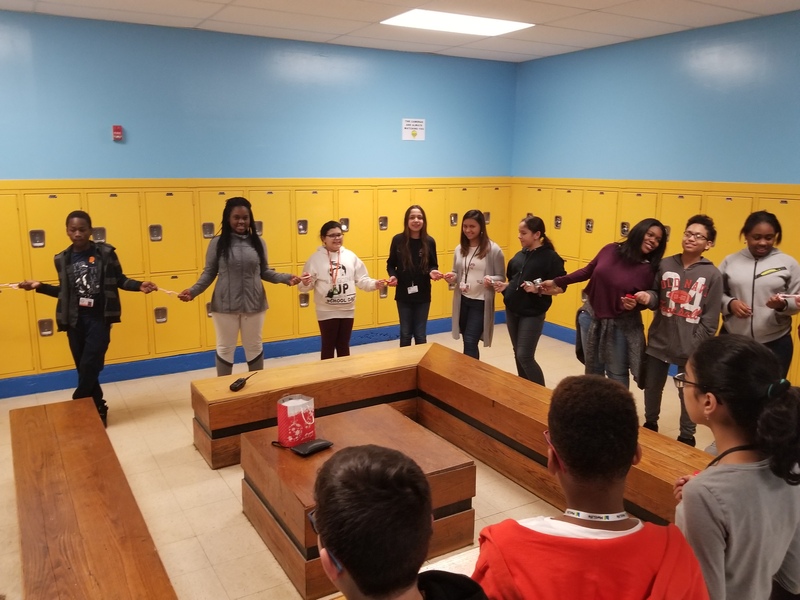 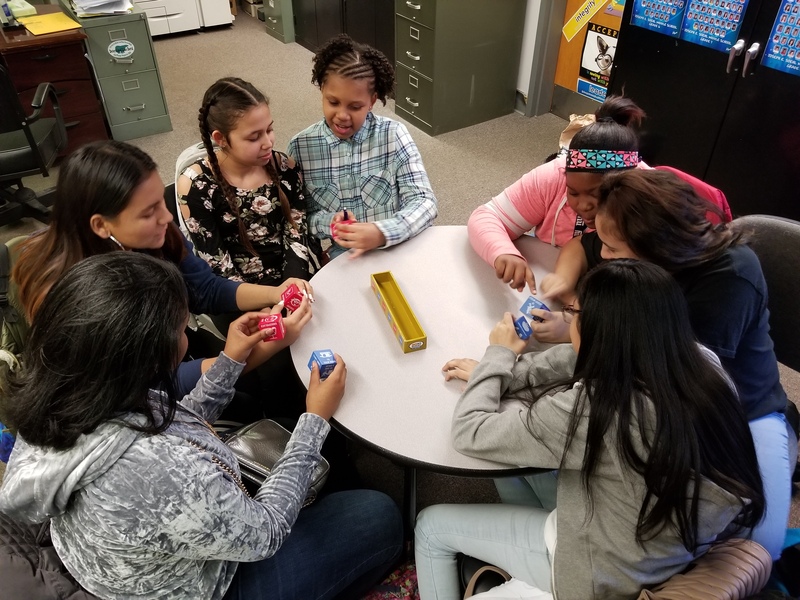 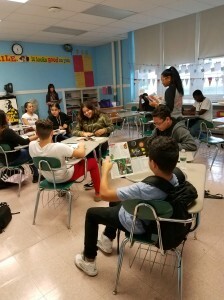 At one of their recent meetings, students used engaging and interactive “Talk Blocks” which increase self-awareness by identifying feelings, encouraging communication and promoting an action plan. 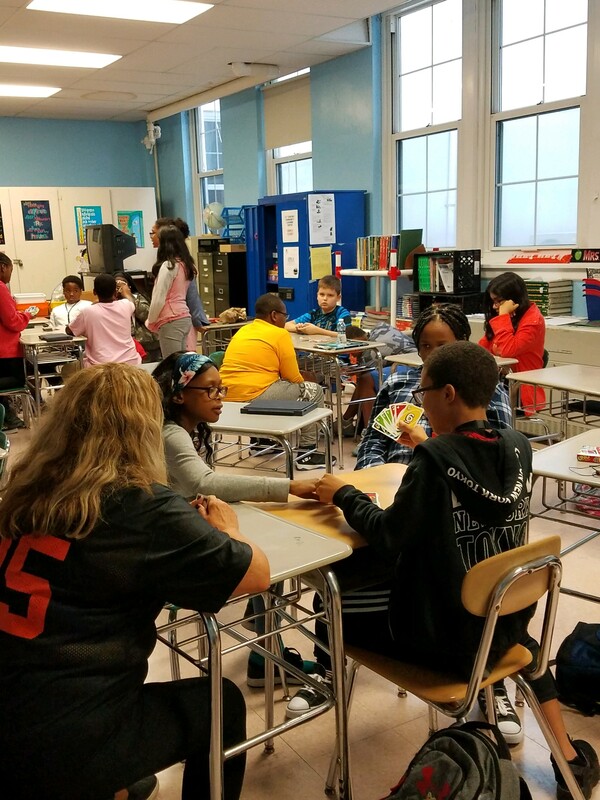 This activity helps students initiate conversation about the challenging situations they face. 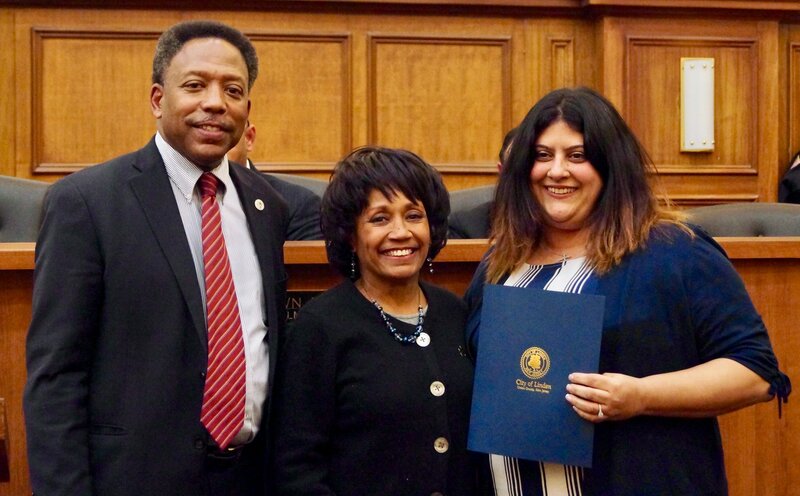 On April 17, Vice-Principal Isabella Scocozza was honored by the Linden City Council for her tireless dedication as director of the 21st Century Community Learning Center. 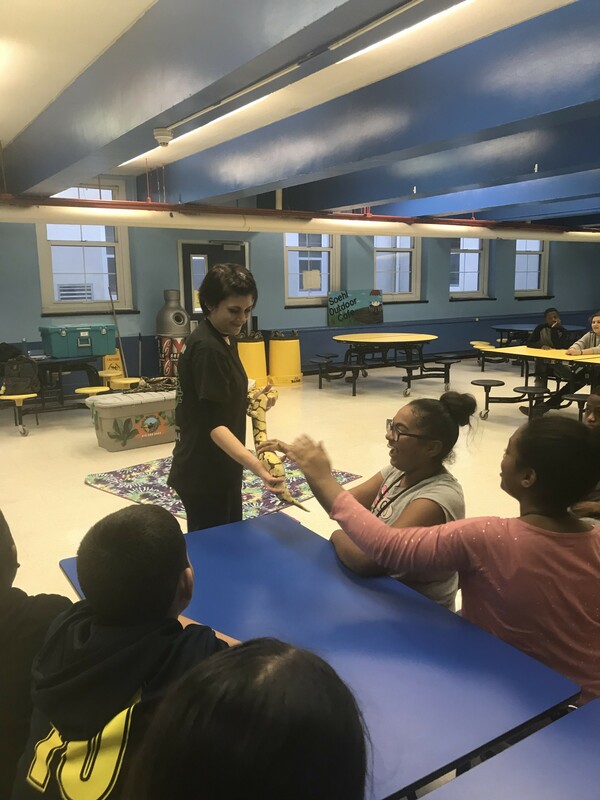 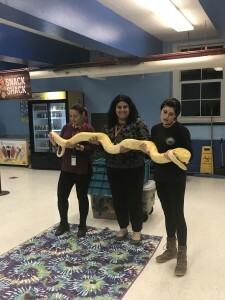 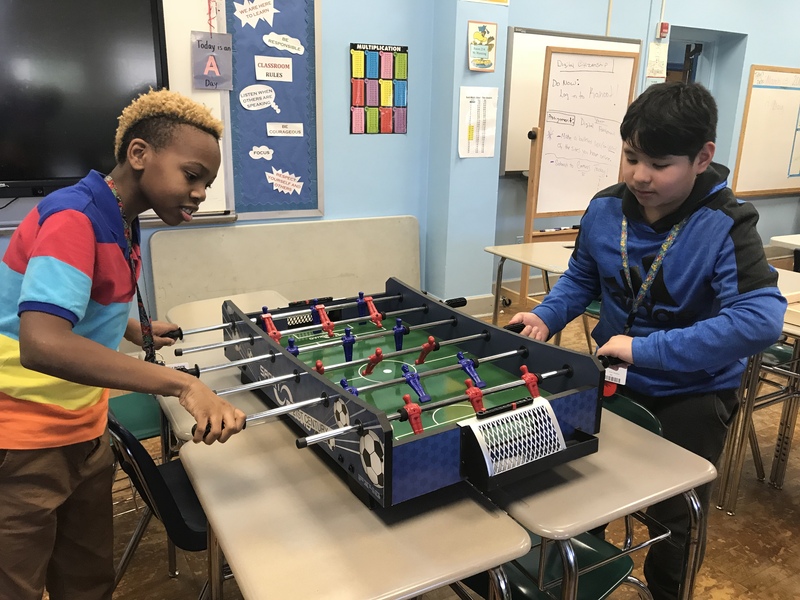 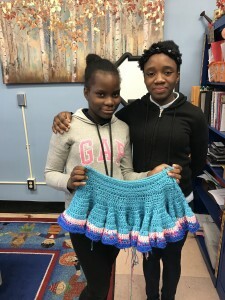 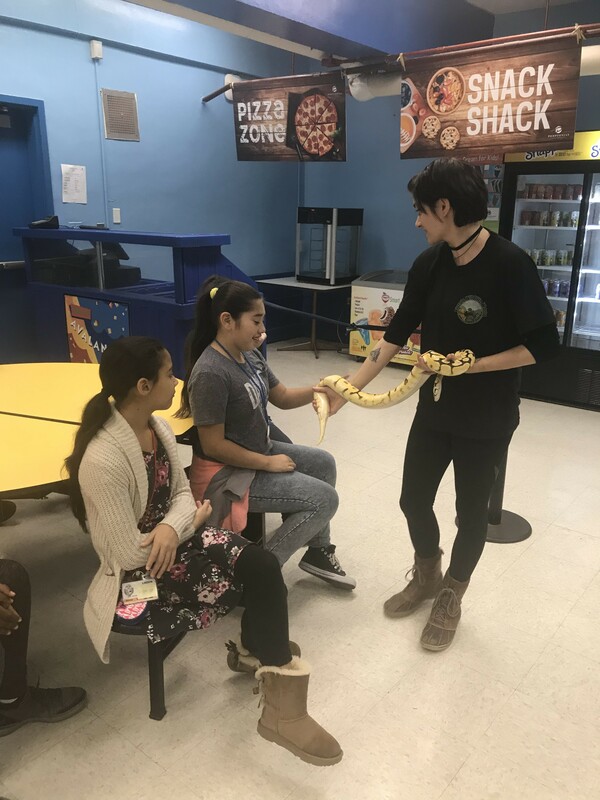 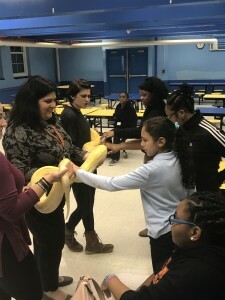 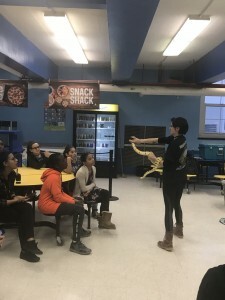 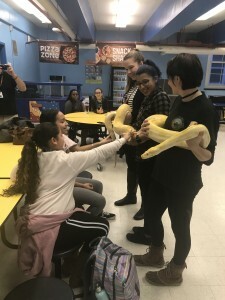 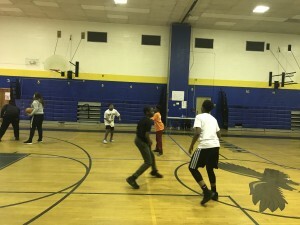 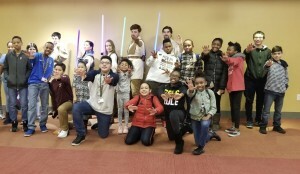 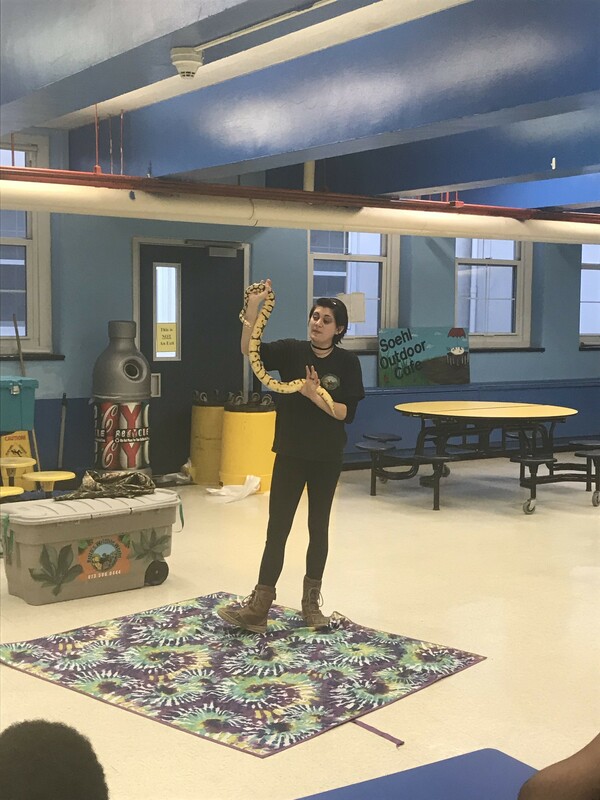 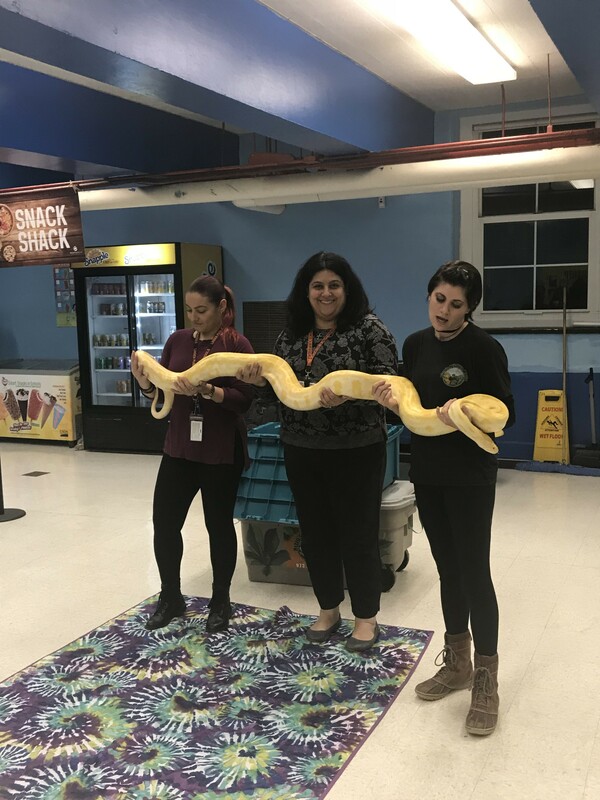 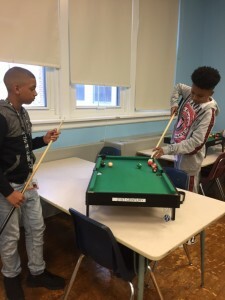 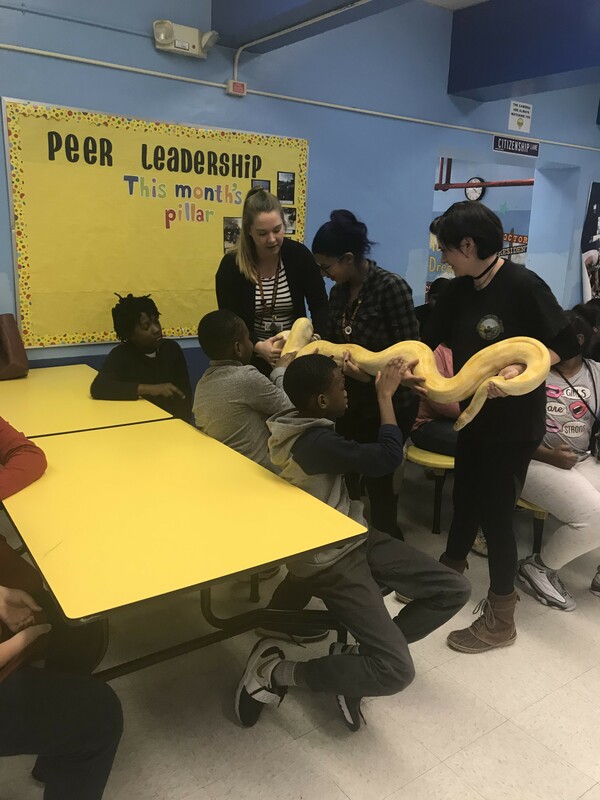 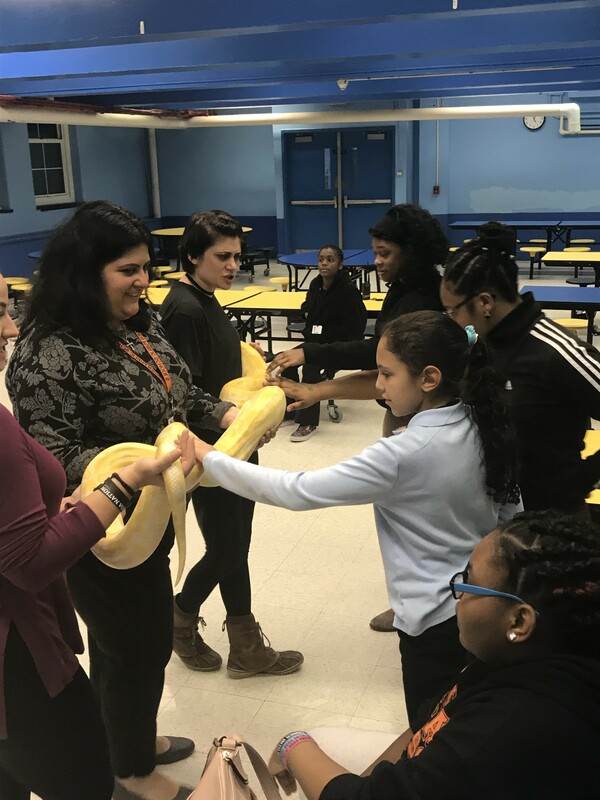 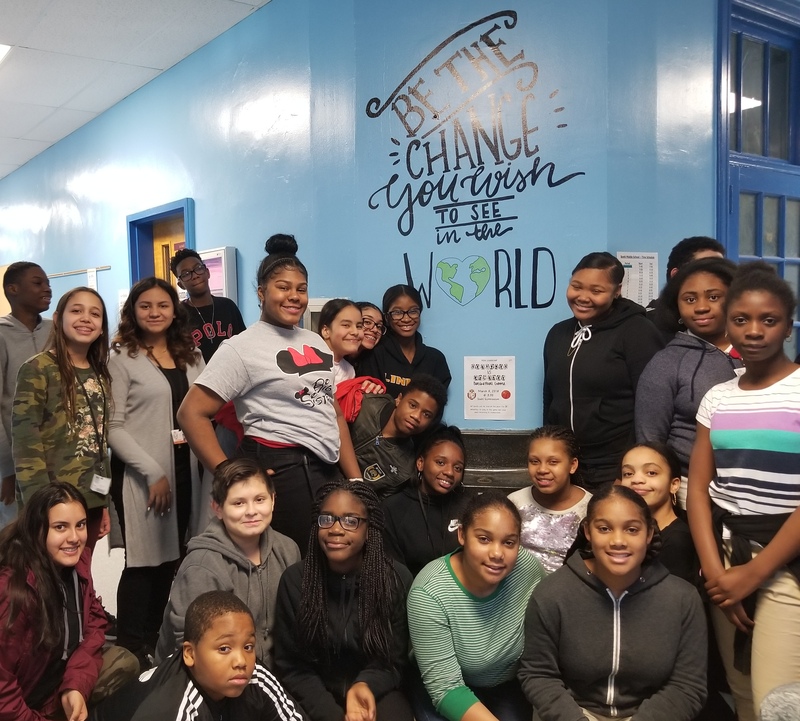 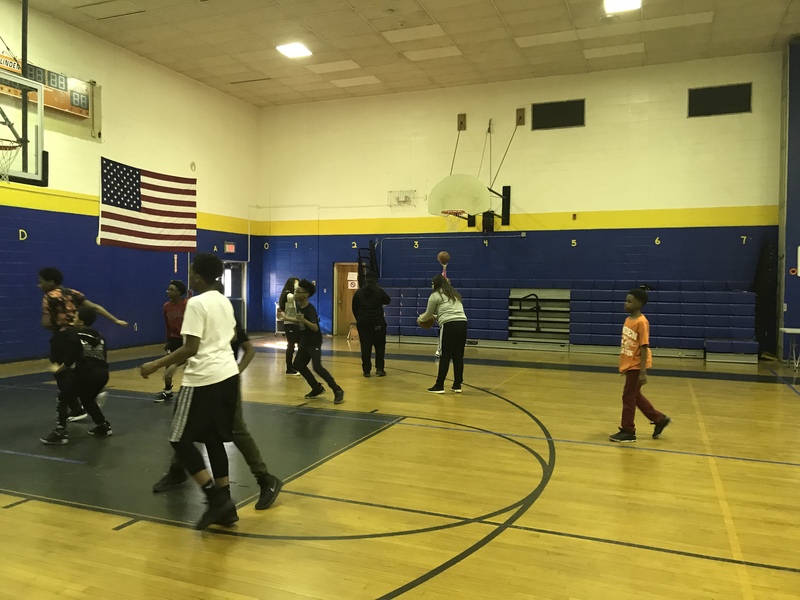 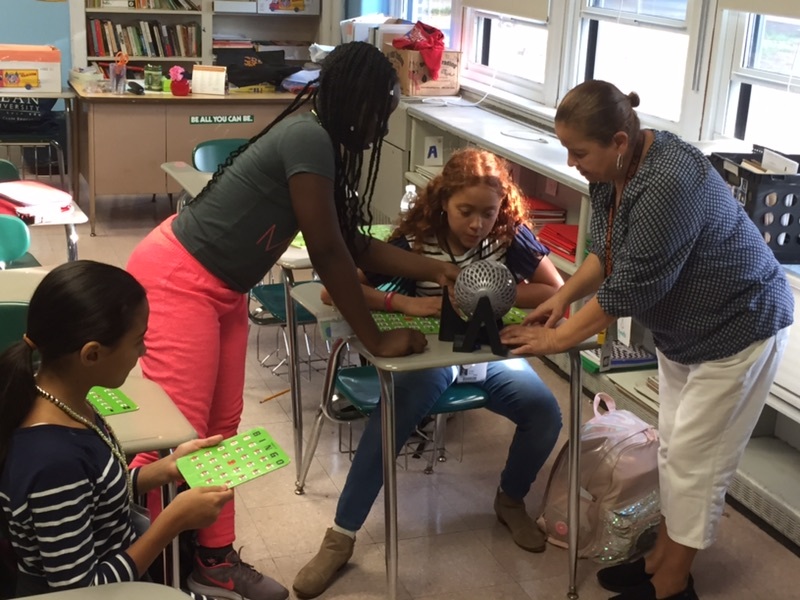 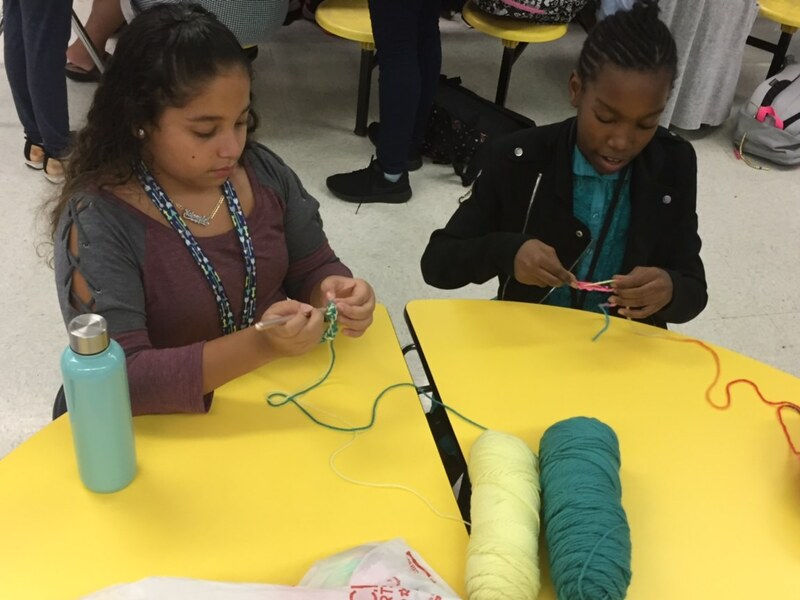 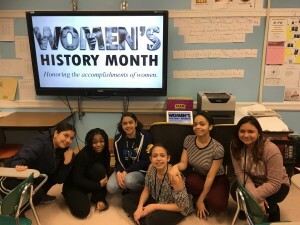 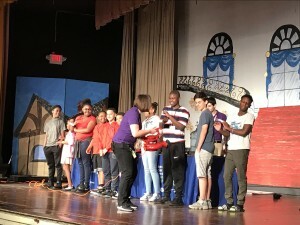 This after-school program is dependent on federal funds, and Ms. Scocozza has brought in $6.8 million – serving nearly 2,500 students – over the past 13 years. 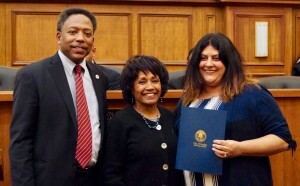 She is pictured below (right) with Mayor Derek Armstead and Councilwoman Lisa Ormon. 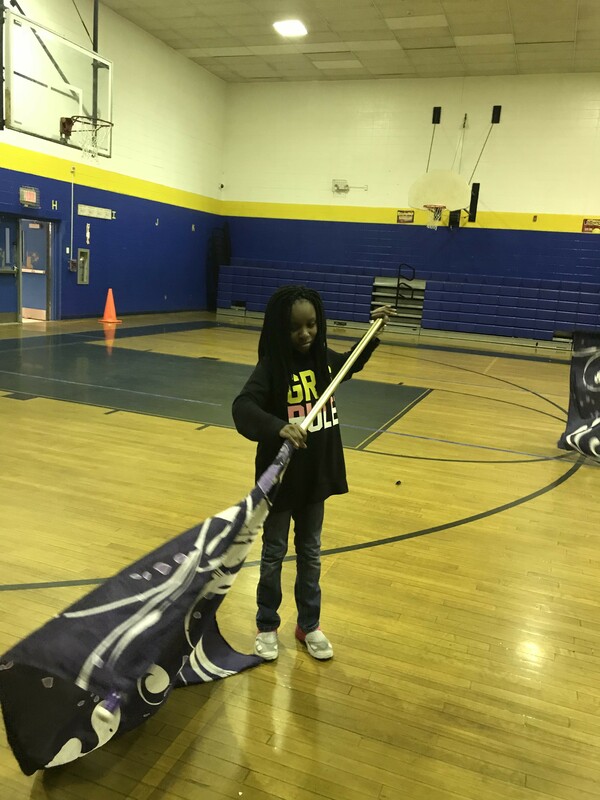 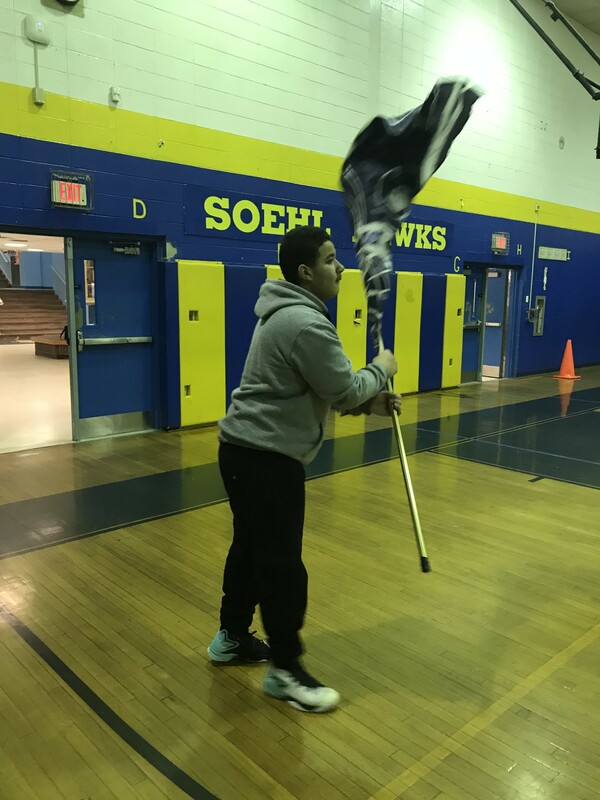 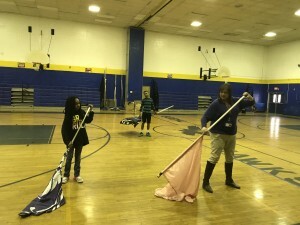 The 21st Century Community Learning Center now offers a Color Guard class instructed by Mrs. Bongiovi. 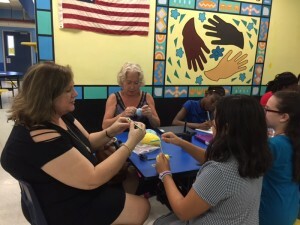 Participating students meet twice weekly to learn the basics of spinning. 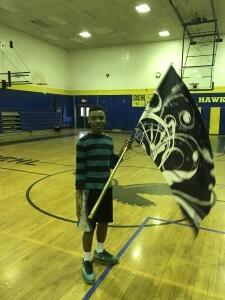 Color Guard is one of the more popular extra-curricular activities offered at Linden High School. 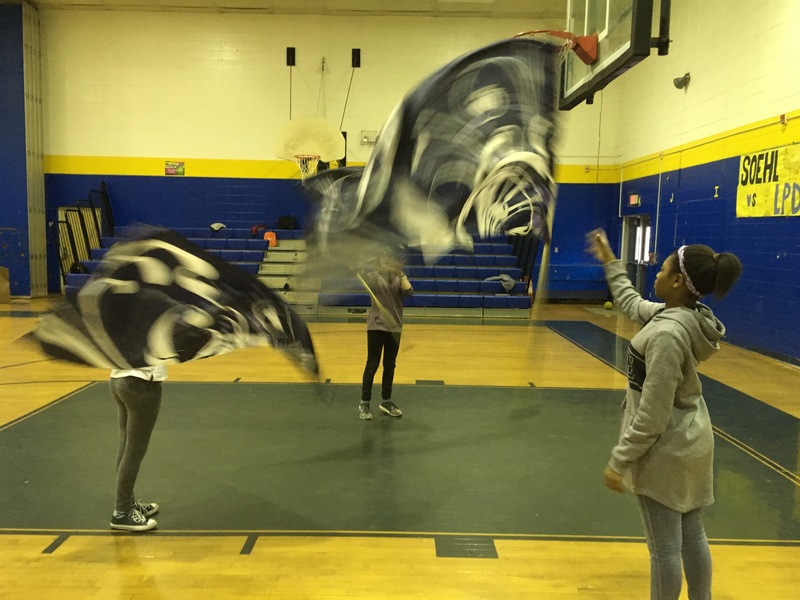 Our Soehl Middle School students are already doing an impressive job with their sweeps, tosses and choreography! 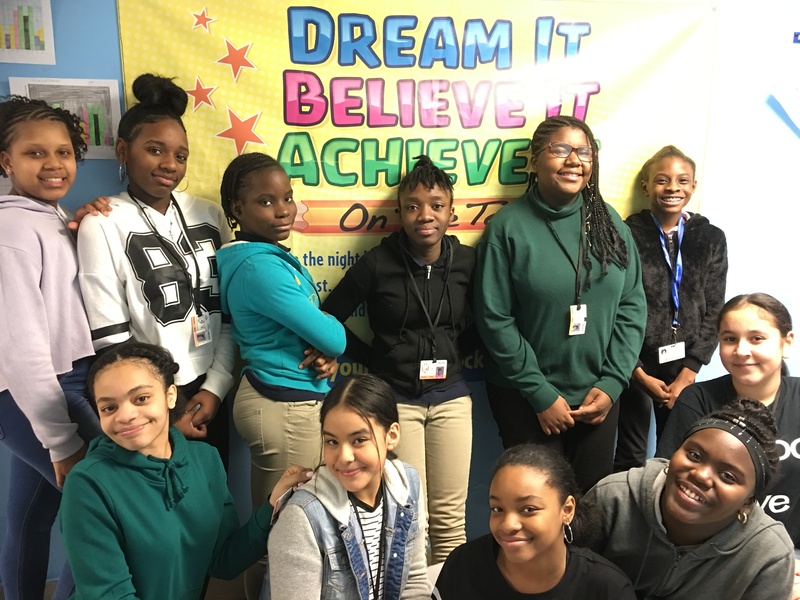 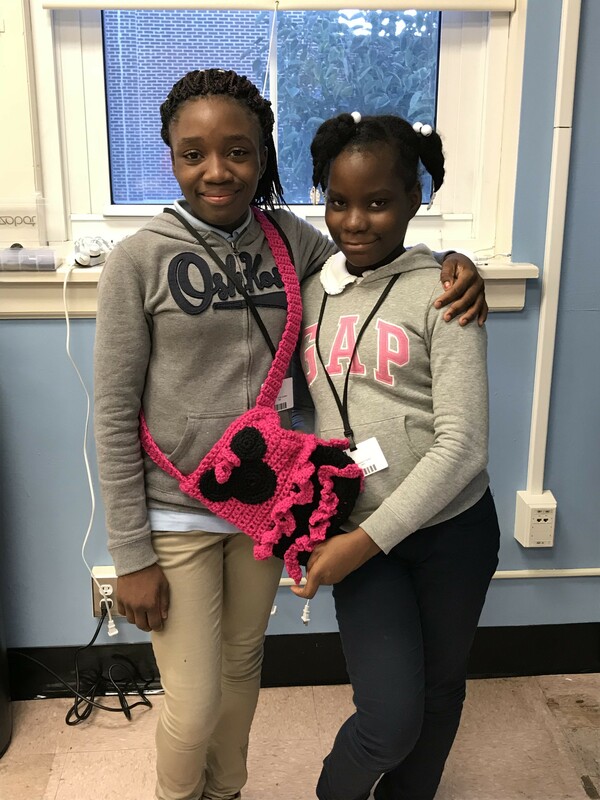 The 21st Century Community Learning Center now offers the Girls Rising Mentoring Program to our middle school students. This program provides social and academic tools and support with an emphasis on character education and character building. 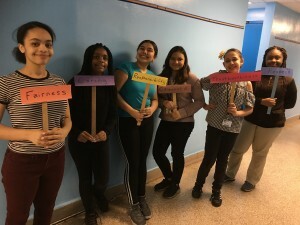 Girls Rising is designed to foster the confidence and advancement of young women. Participating students work together to achieve their goals while promoting and celebrating leadership, diversity and sisterhood. 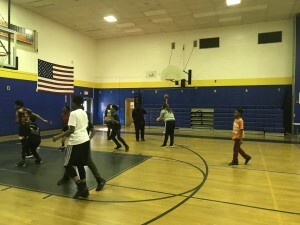 The 21st Century Community Learning Center offers a wide variety of choices for its daily recreation classes. Program students can enjoy many different activities including crocheting, jewelry making and painting; yoga, fitness training and open gym; computer lab, chess and movie screening; and so much more! 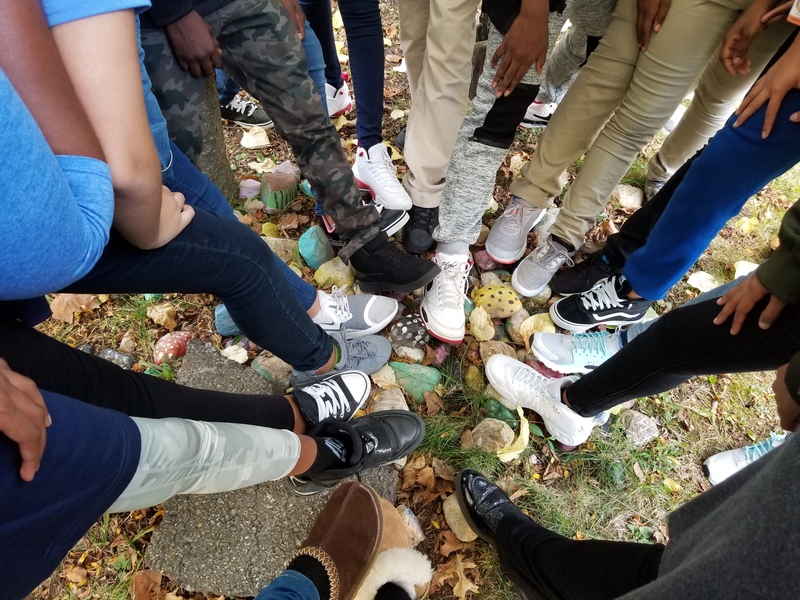 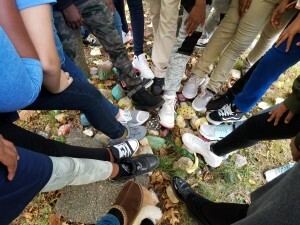 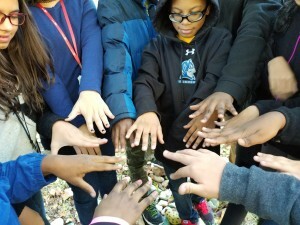 Students also explore their school grounds and surrounding neighborhood to make connections between their classroom experiences and the real world. 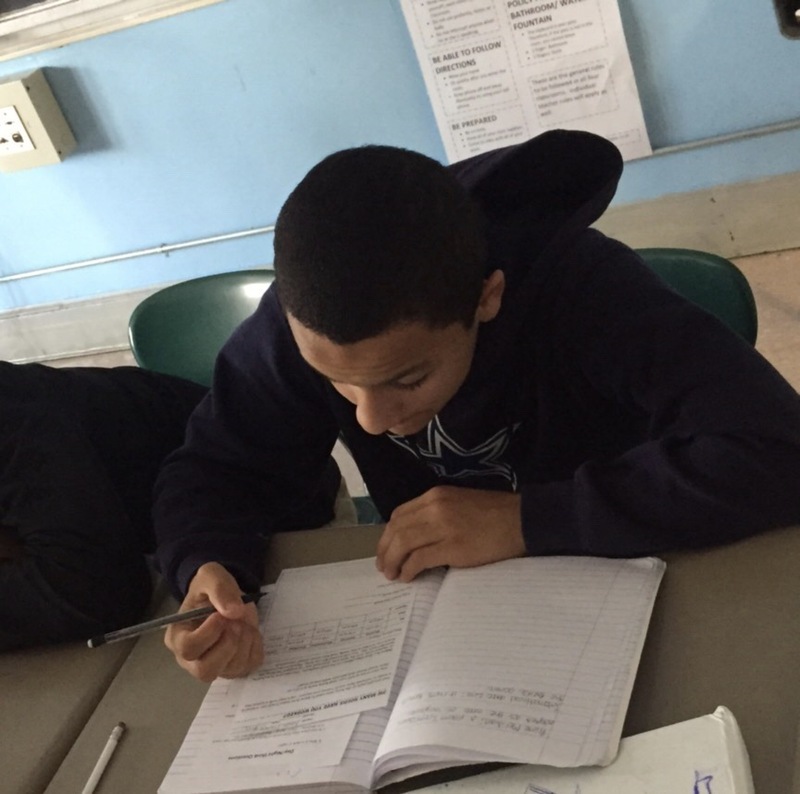 Follow-up activities include writing exercises and oral presentations to enhance their communication skills. 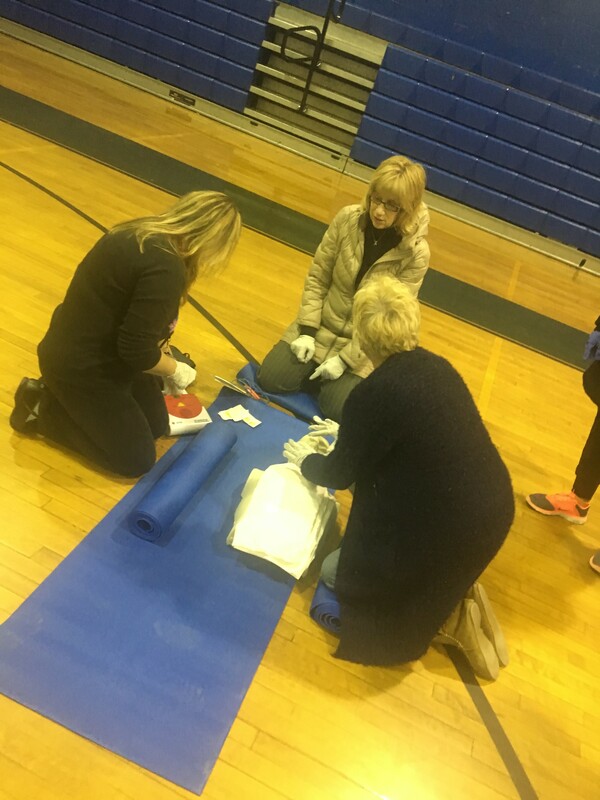 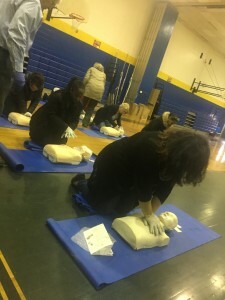 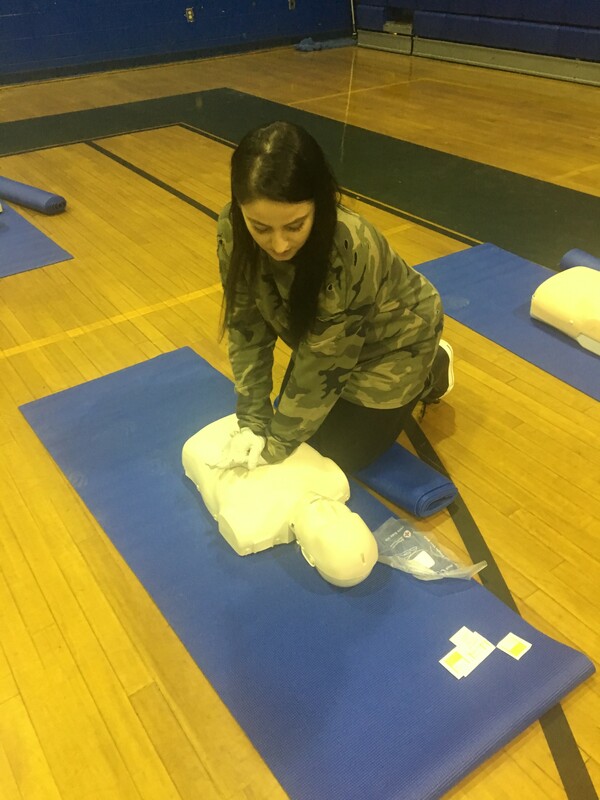 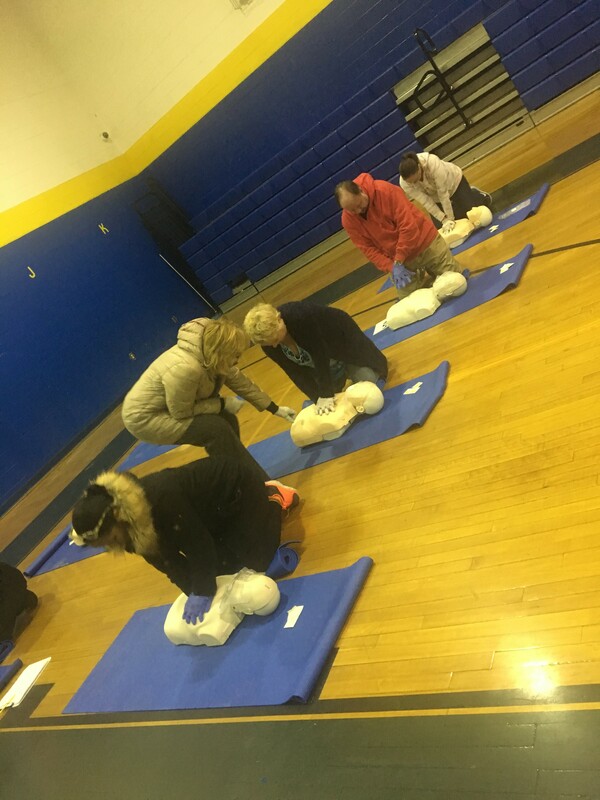 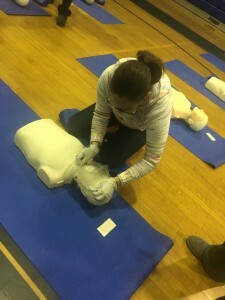 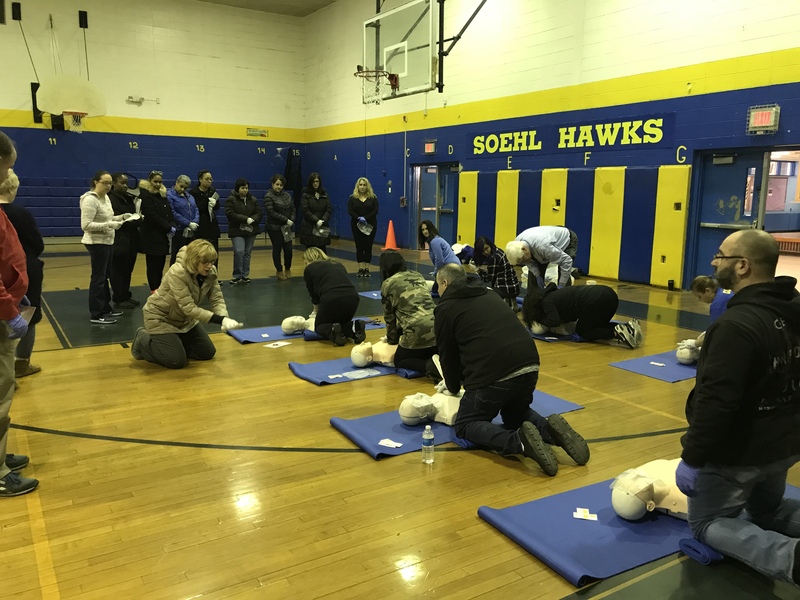 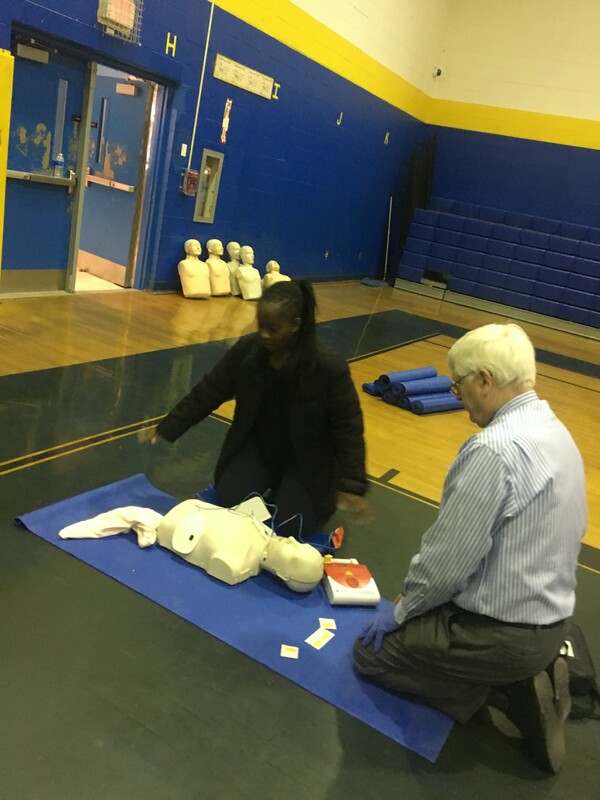 On Saturday, January 27, dedicated staff members from the 21st Century Community Learning Center attended a five-hour training session on Adult First Aid/CPR/AED. All 20 staff members received their certification through the American Red Cross. 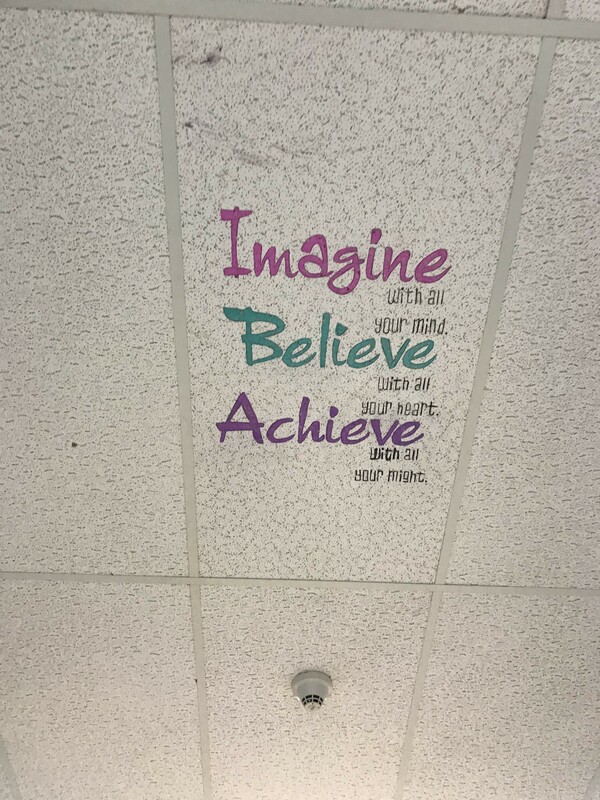 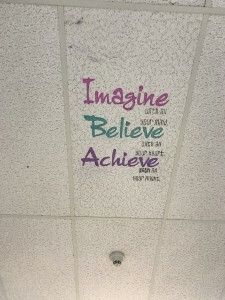 Soehl Middle School students and staff can now find daily inspiration in the hallways. 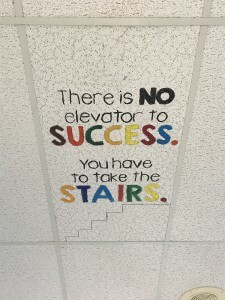 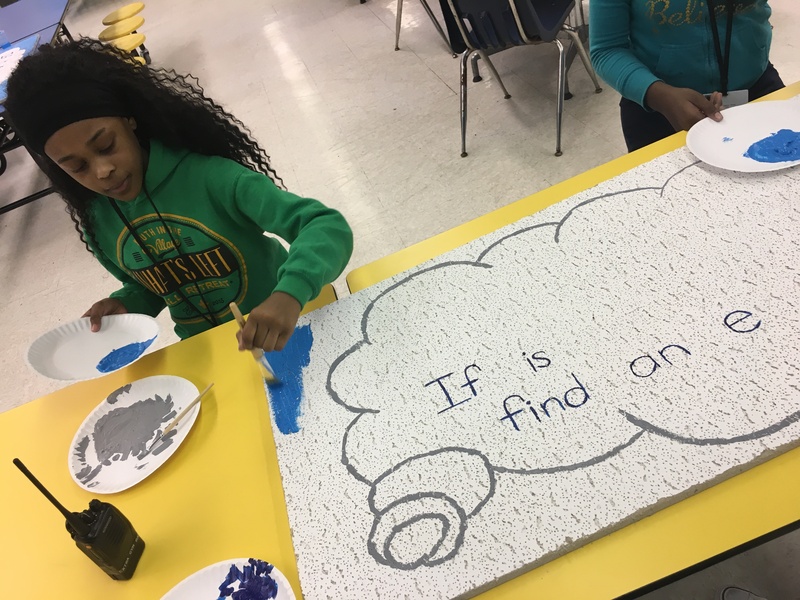 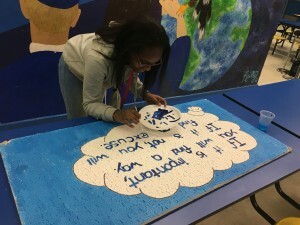 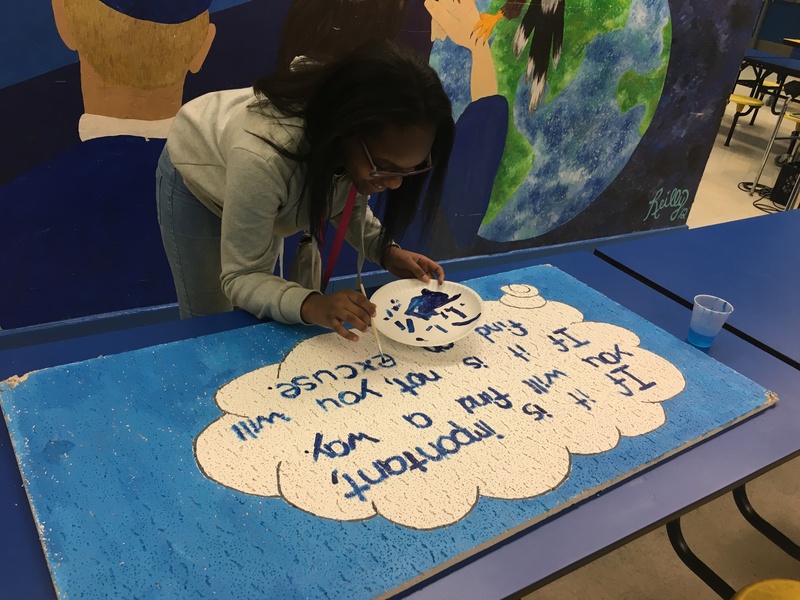 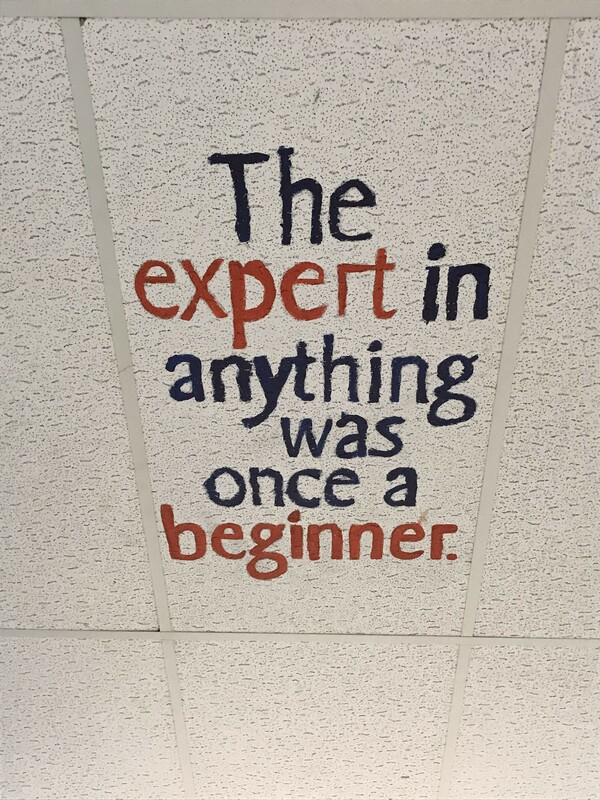 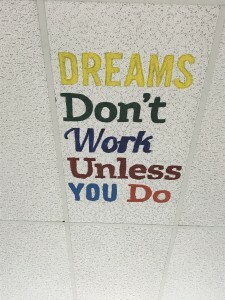 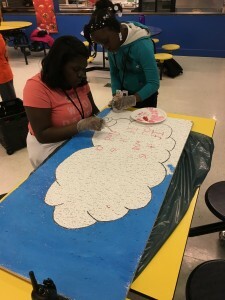 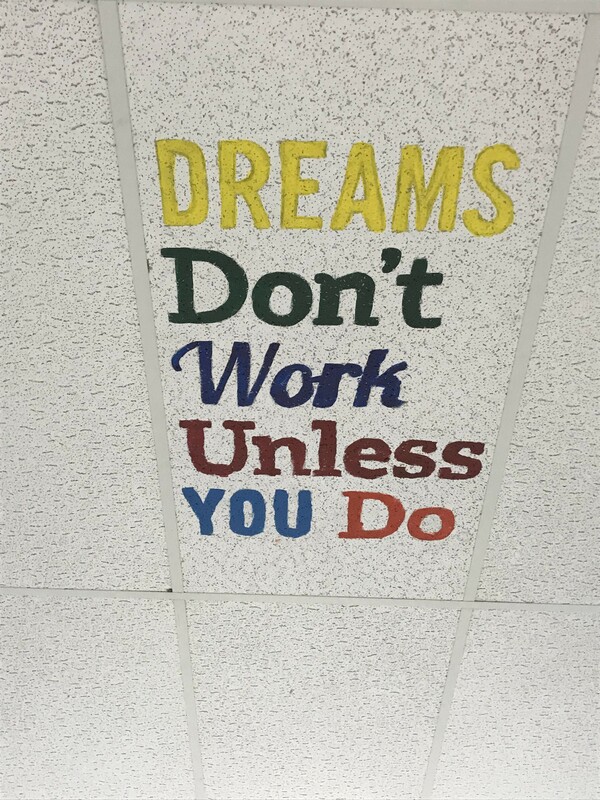 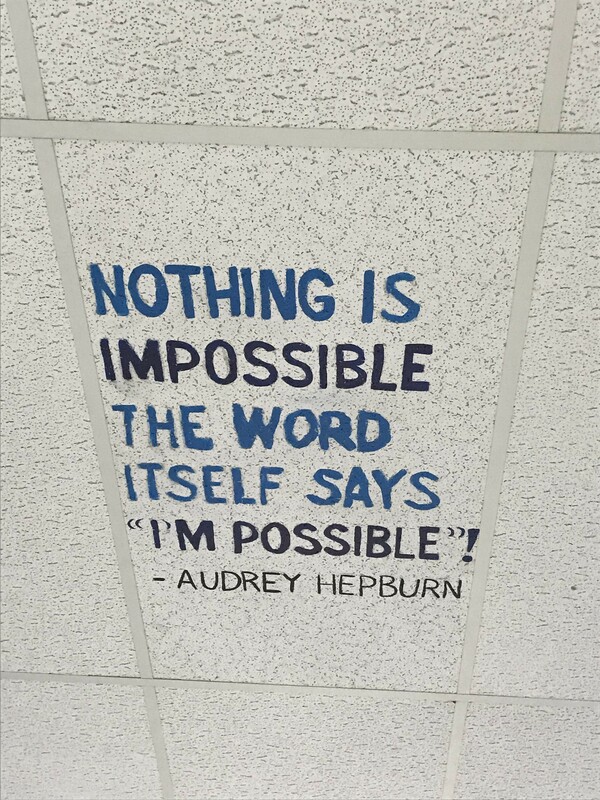 21st Century Community Learning Center students are using their artistic skills to paint ceiling tiles throughout the building. 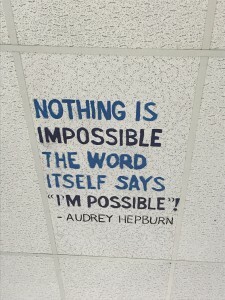 These decorated tiles, with their motivational quotes and messages, provide encouragement to all lucky passersby. 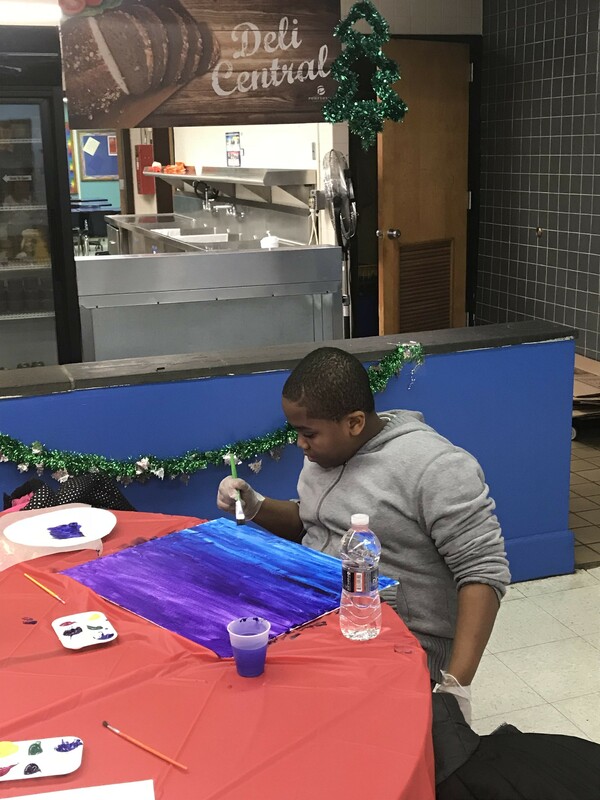 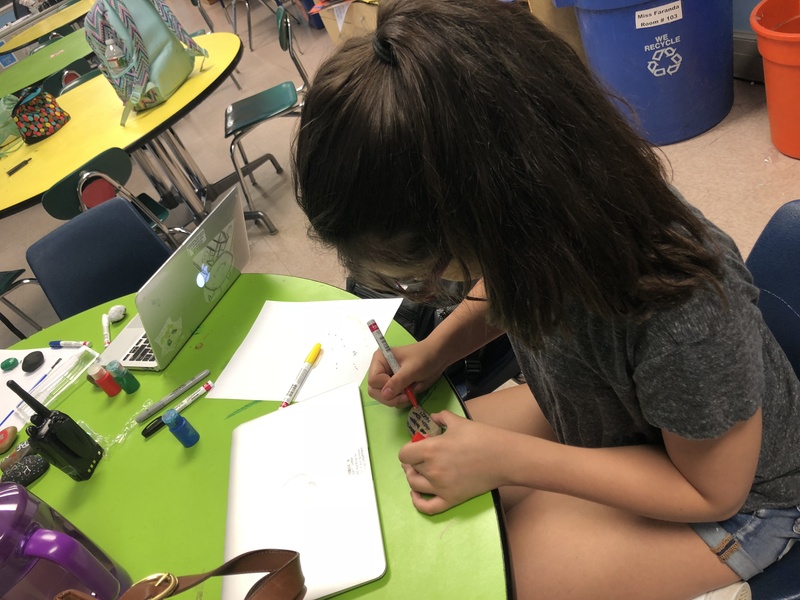 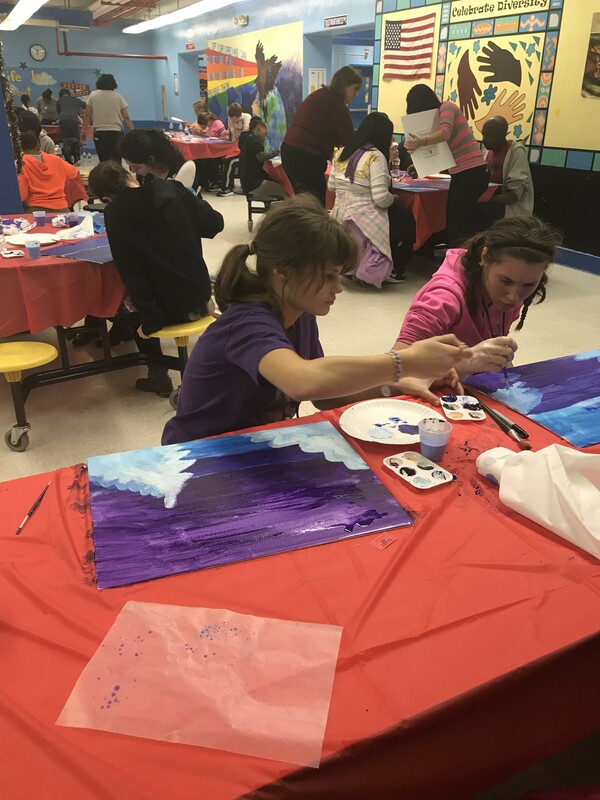 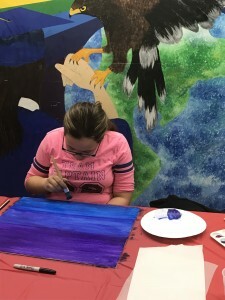 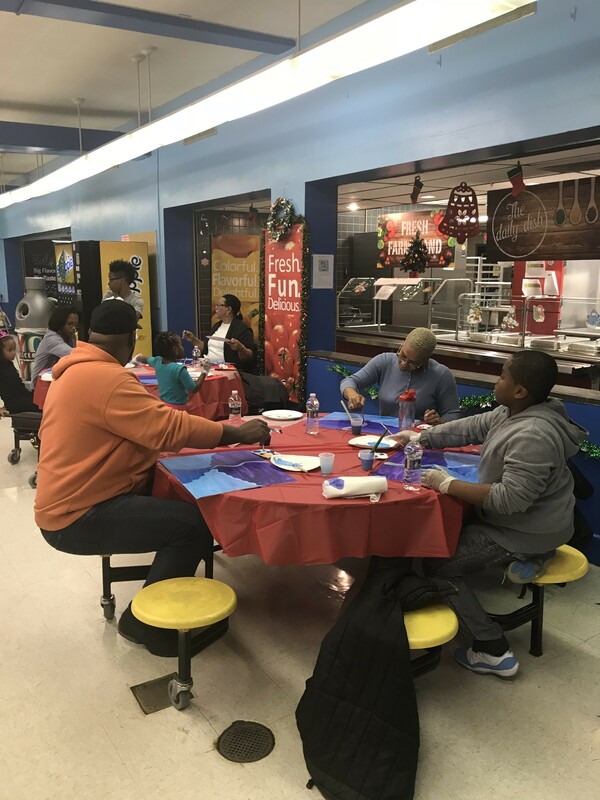 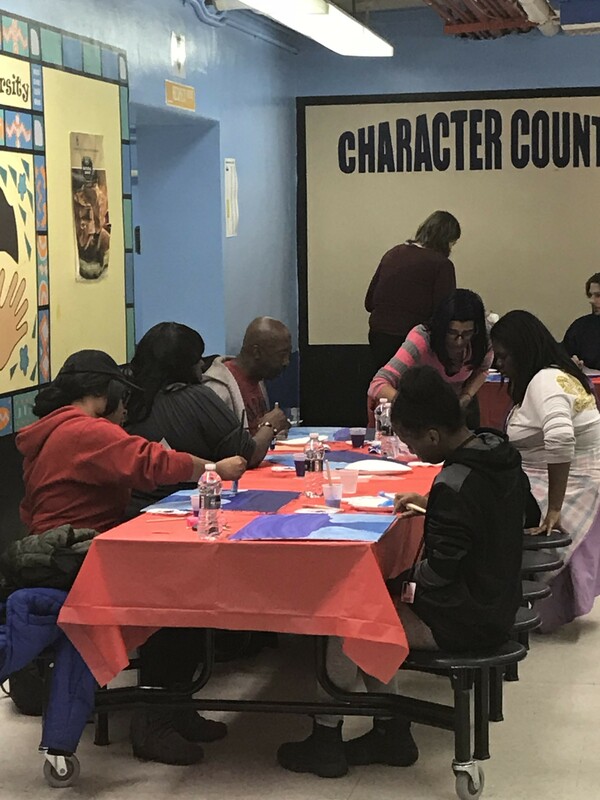 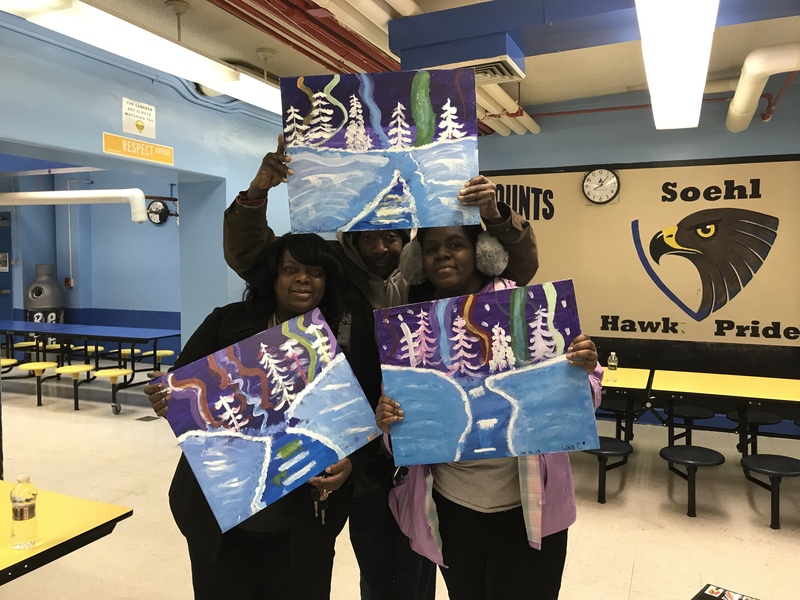 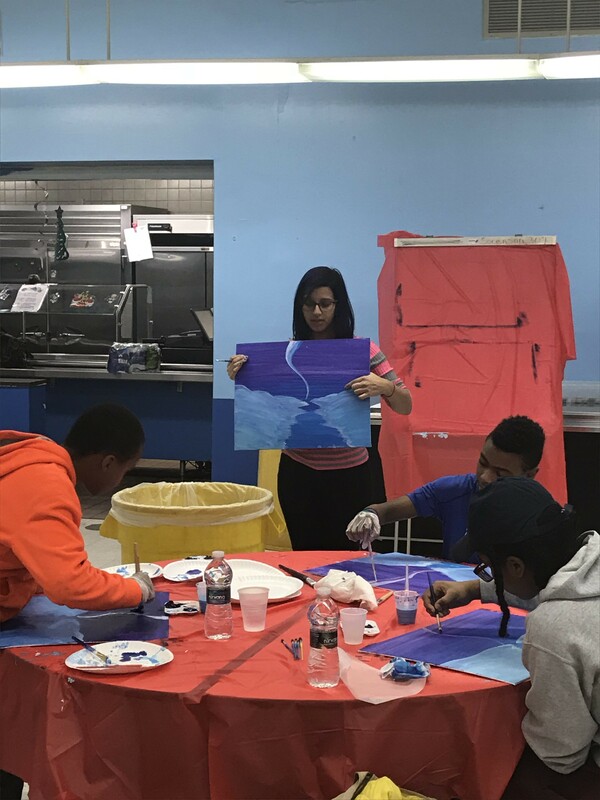 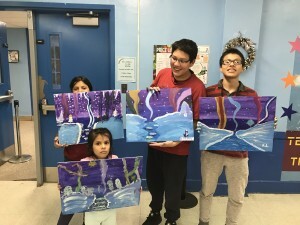 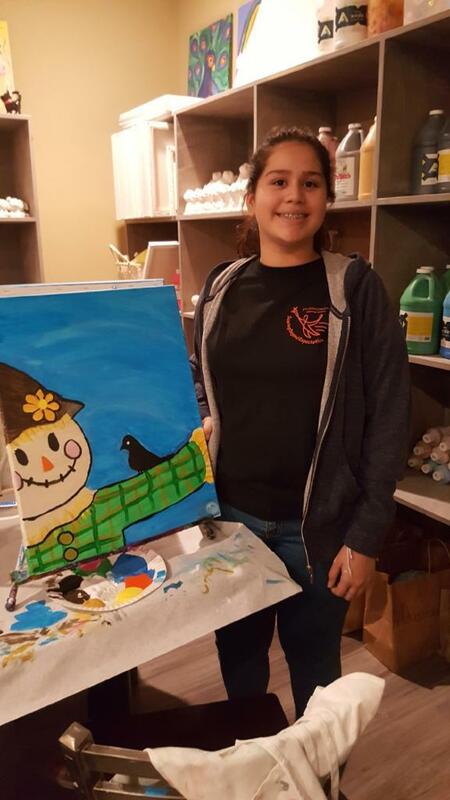 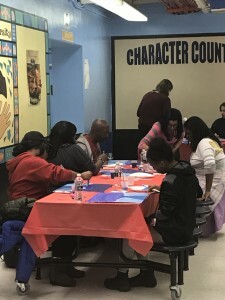 On December 14, the 21st Century Community Learning Center converted the Soehl Middle School cafeteria into a giant art studio for Family Paint Night. 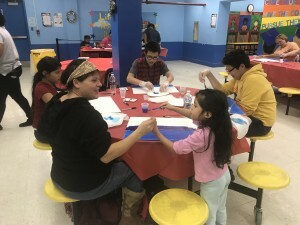 Students and their families took a painting class led by Ms. Garcia, a 21st Century teacher and artist. 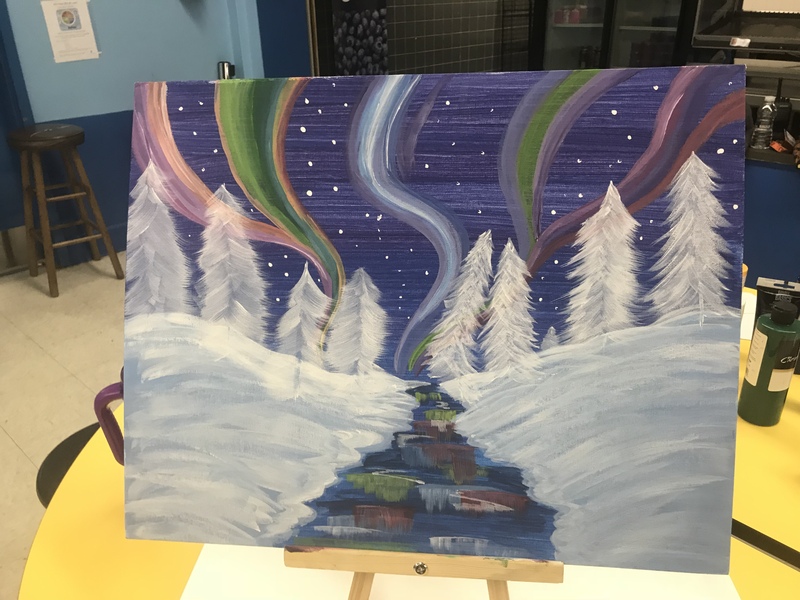 Each painter transformed a blank canvas into a colorful winter wonderland. 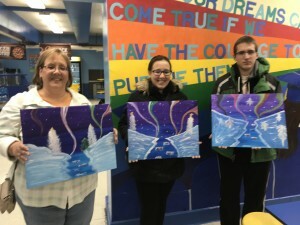 At the end of the night, every artist took home their individual masterpiece, suitable for framing! 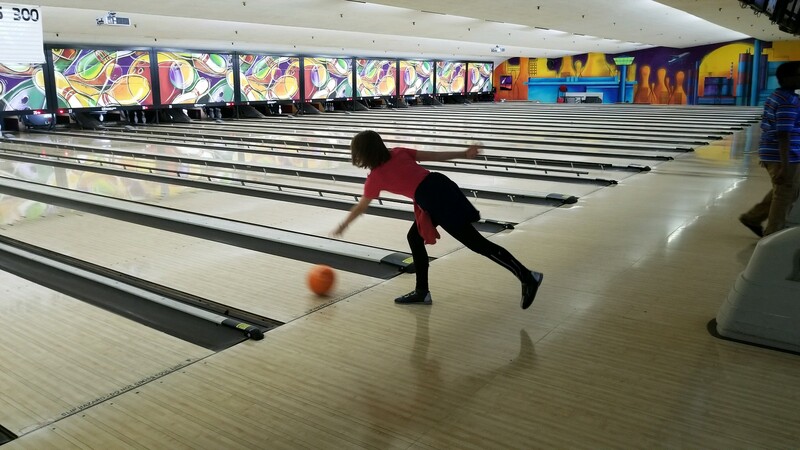 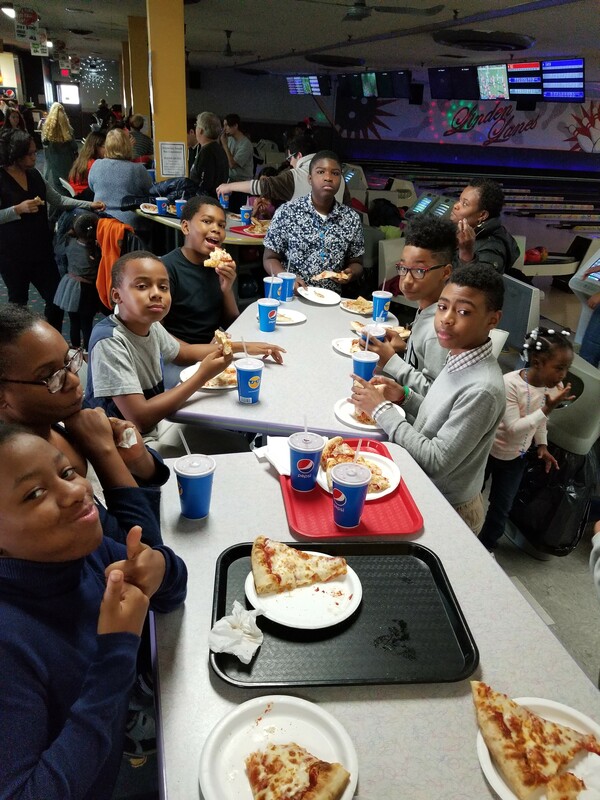 On December 10, the 21st Century Community Learning Center hosted a fun-filled Family Bowling Day at Linden Lanes. 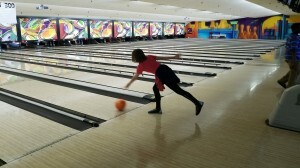 Students and their families were treated to two hours of open bowling. 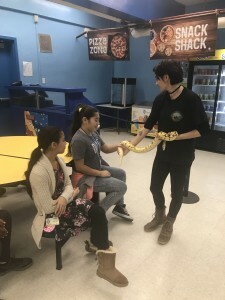 They also enjoyed a tasty lunch. Program families welcomed this opportunity to meet, mingle and make new friends. 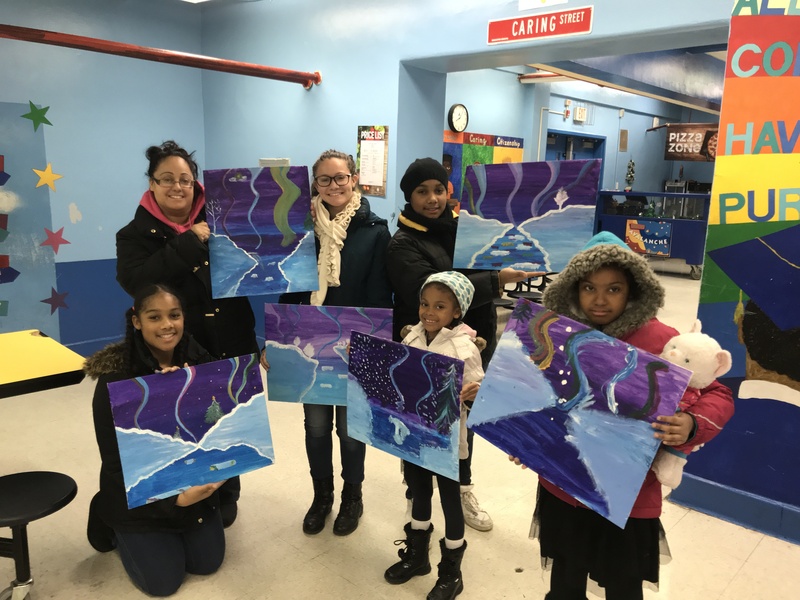 The 21st Century Community Learning Center recently returned to the Fire Me Up Art Studio in Cranford. 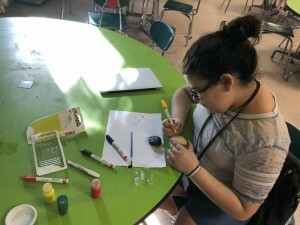 Students picked out a plate or a mug, and the Fire Me Up staff presented a paper masking technique. 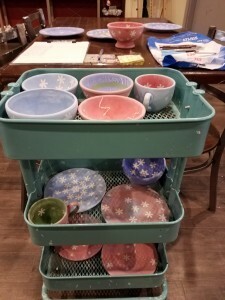 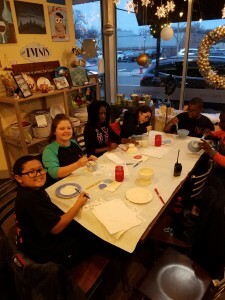 After their work was glazed and fired, our young artists had a unique gift to take home for the holidays. On November 21, the Liberty Science Center visited the 21st Century Community Learning Center. 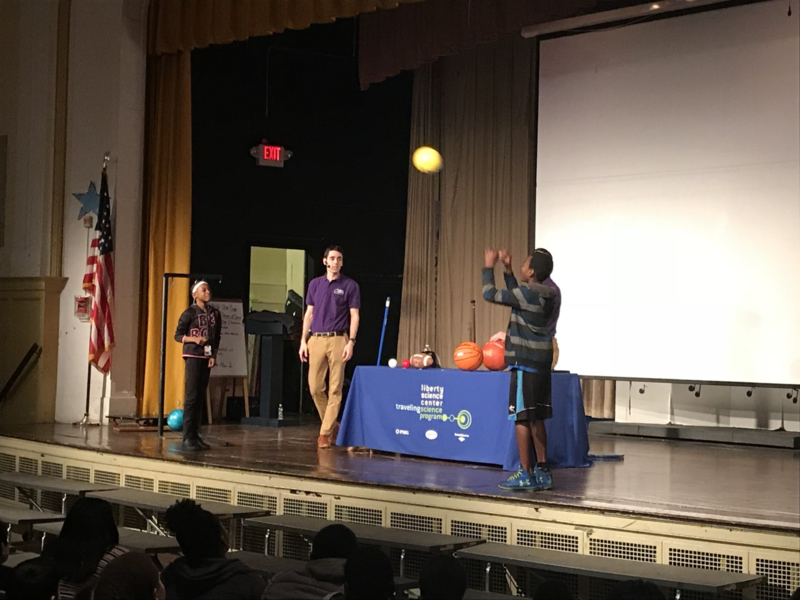 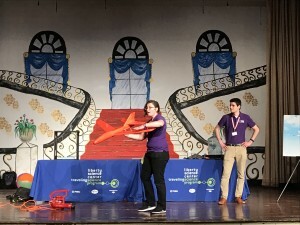 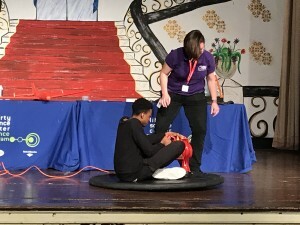 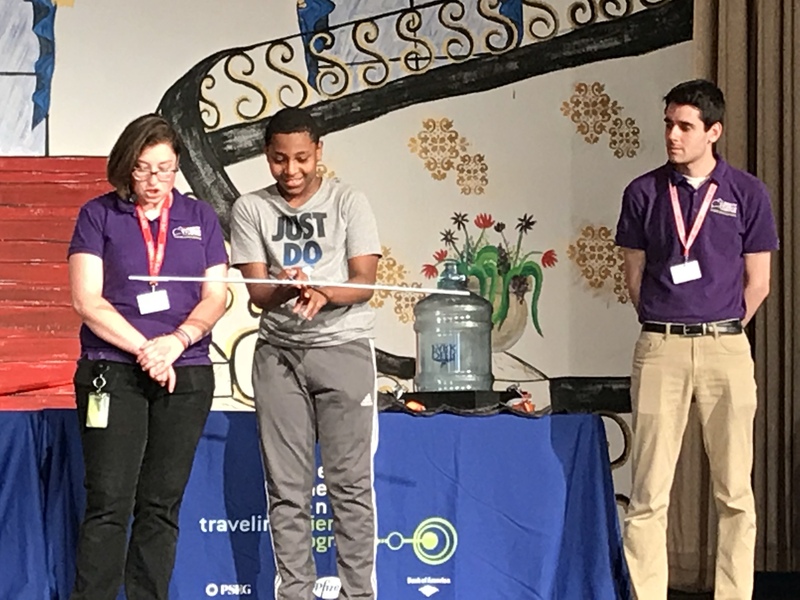 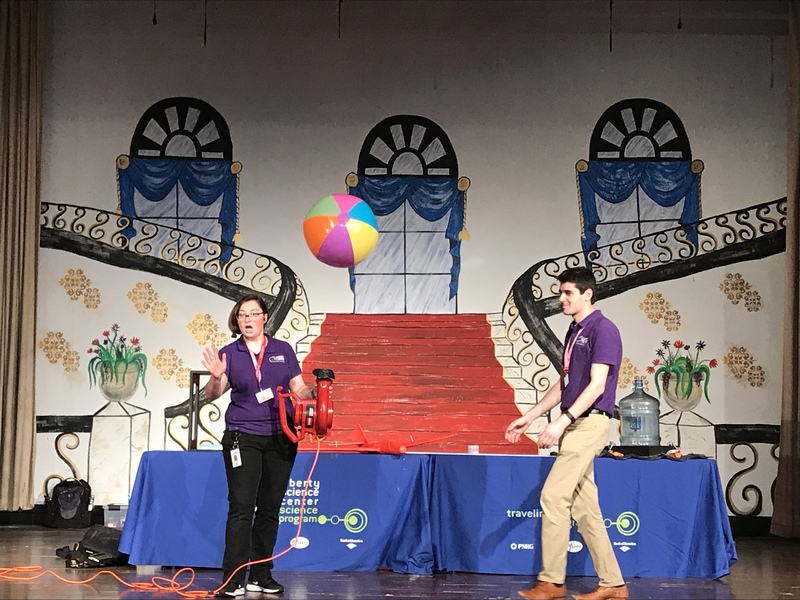 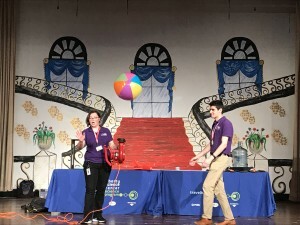 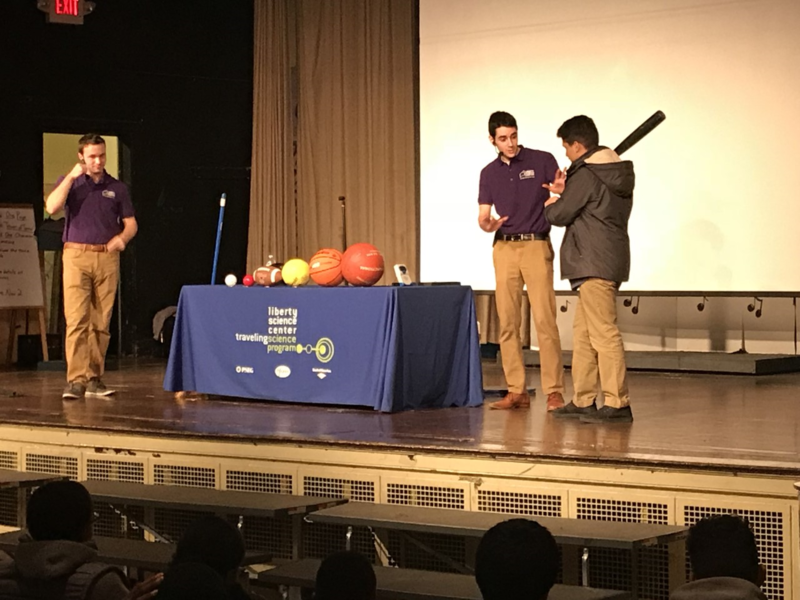 Program students attended an interactive ‘Science Sportacular’ assembly. 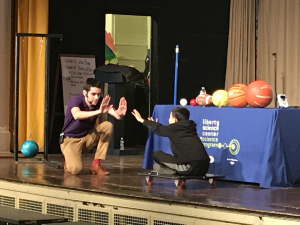 The assembly focused on key concepts from science, technology, engineering and mathematics (STEM). 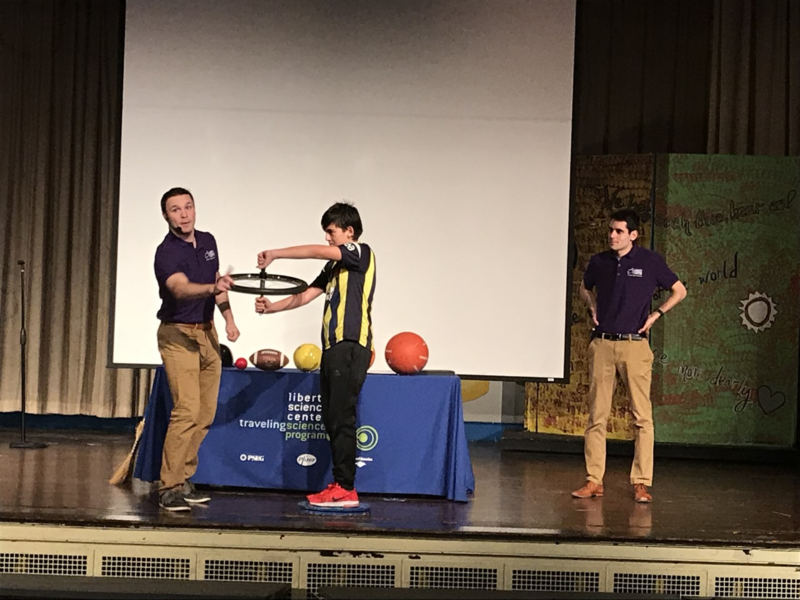 The LSC volunteers proved that all sports have one thing in common, and that one thing is science. 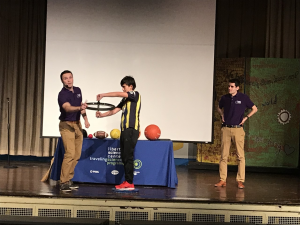 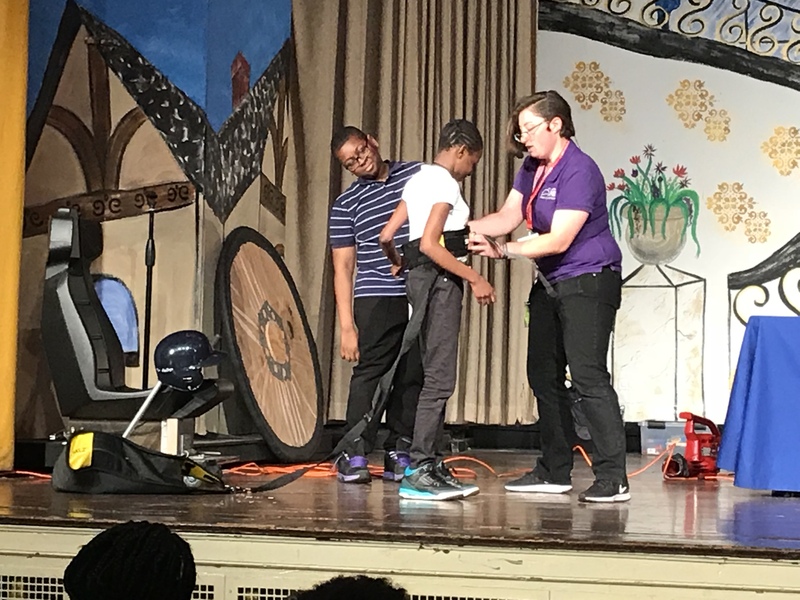 Students learned the science behind how a pitcher makes a baseball curve and how cause-and-effect works with sports equipment. They also had the opportunity to join in a momentum race. 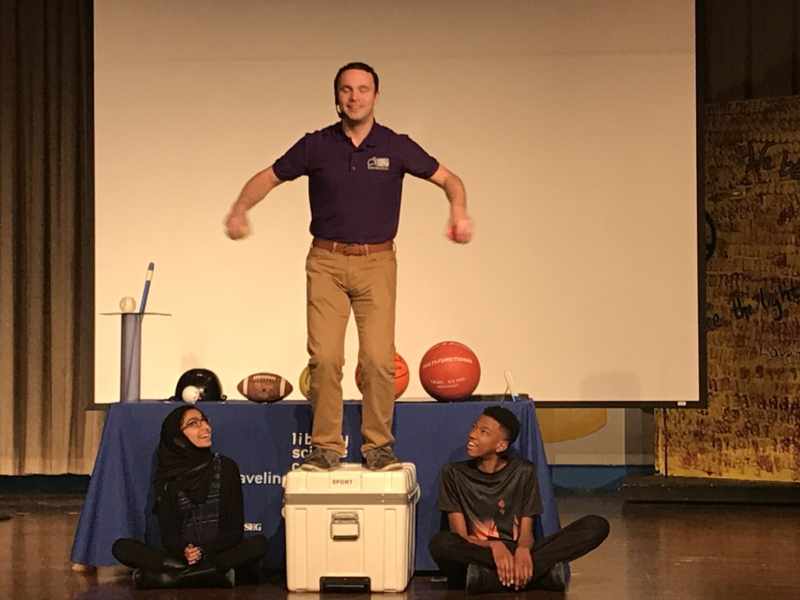 LSC staff even demonstrated the science behind helmet safety by lying on a bed of sharp nails! 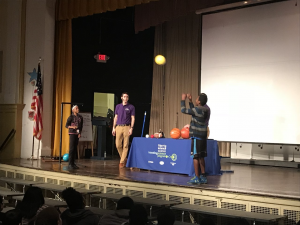 No tricks or illusions, just pure science. 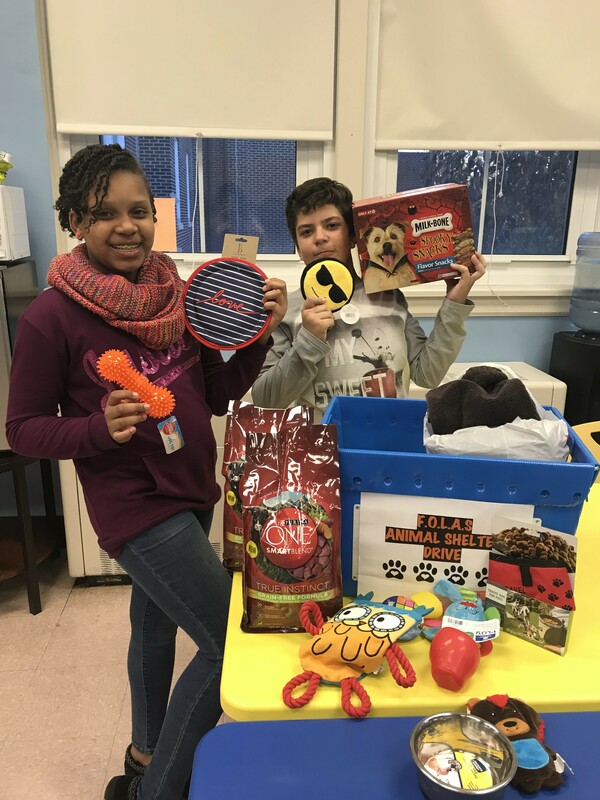 The 21st Century Community Learning Center is coordinating a pet supply drive to support the Friends of Linden Animal Shelter (FOLAS). 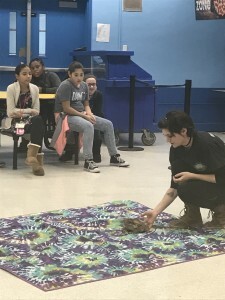 This shelter is an all-volunteer non-profit animal rescue. FOLAS needs a variety of items for their cats and dogs including blankets, coats, food, treats, leashes, paper towels, paper plates, cat litter and yarn. 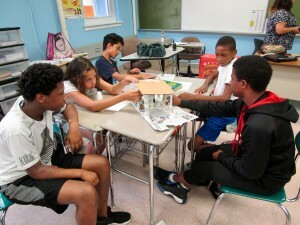 The after-school program will collect these supplies throughout the year and make monthly trips to the shelter. 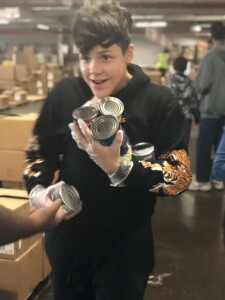 All donations can be dropped off at Soehl Middle School. 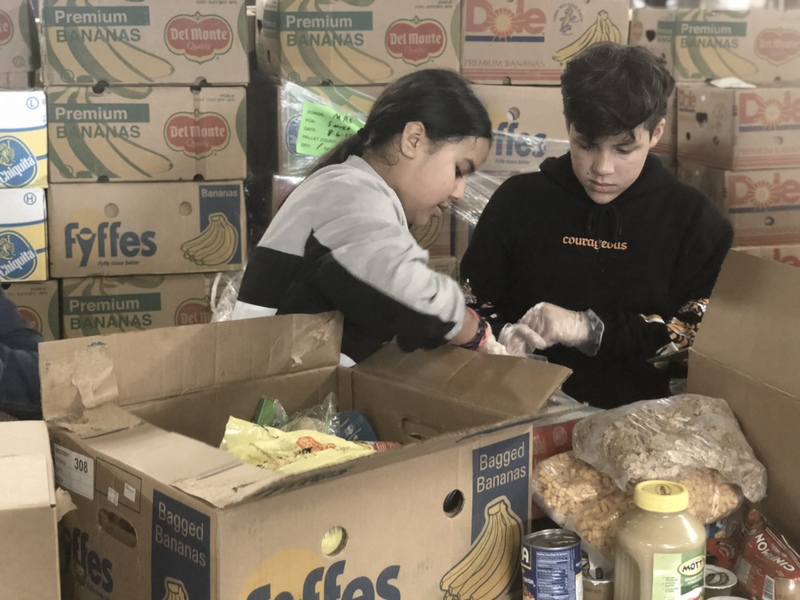 Pictured below are 7th-graders Danae Doyle and Lucas Prendez packing up some recently collected items. 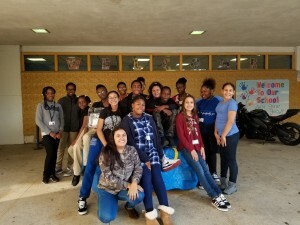 The 21st Century Community Learning Center will coordinate a ‘Gently Used Coat Drive’ during the month of November. 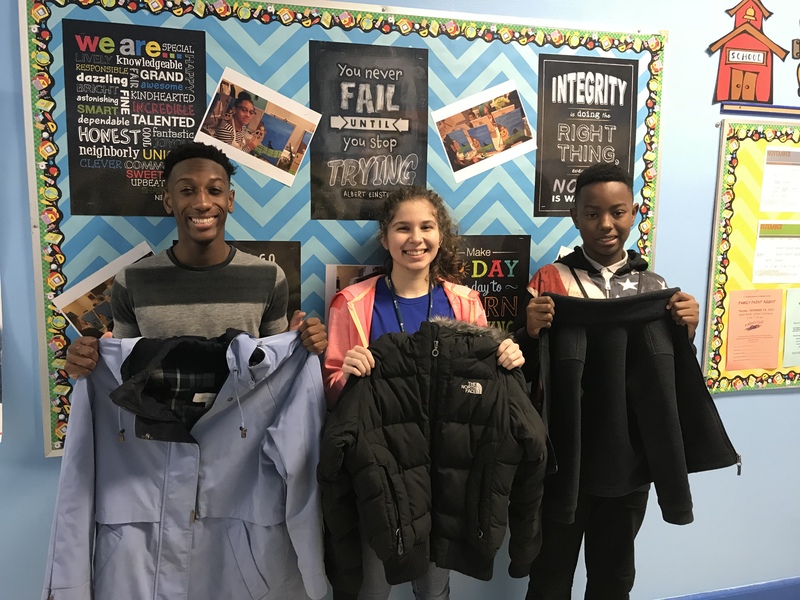 After-school participants are collecting new and used coats for women, men and children. 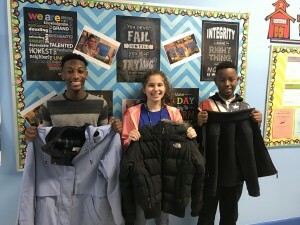 All coats will be given to Jersey Cares and then distributed to area shelters and outreach centers. As part of the ‘Note in a Coat’ project, program students are also writing uplifting and encouraging letters or poems to be tucked in each coat’s pocket. 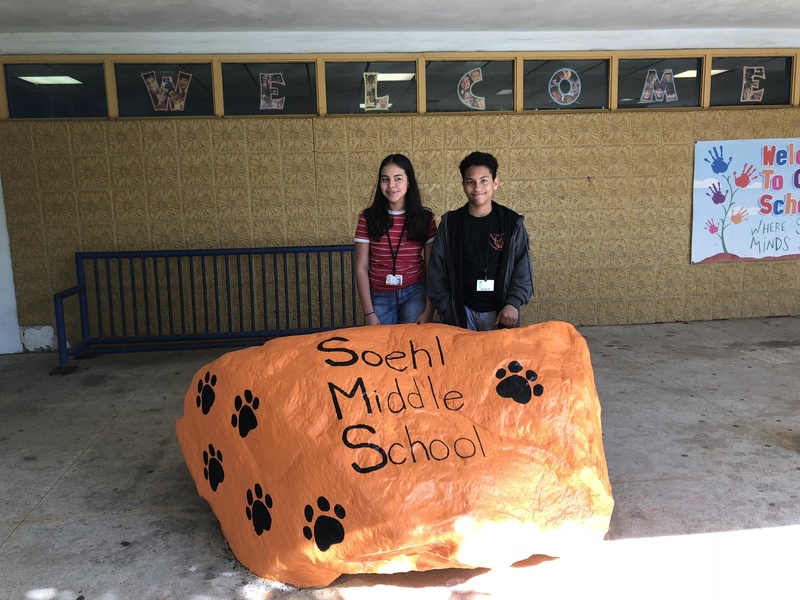 Donations can be dropped off at Soehl Middle School until November 30th. Pictured above (left to right) are Eddy Charles, Lauren Almeida and Taylon Connikie. 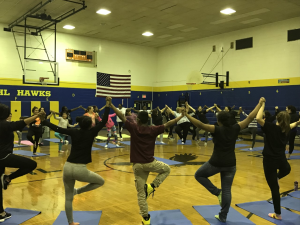 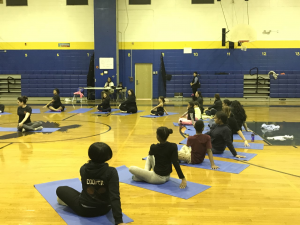 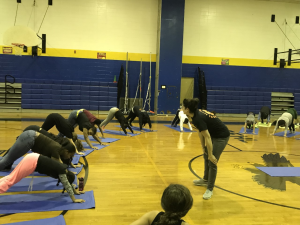 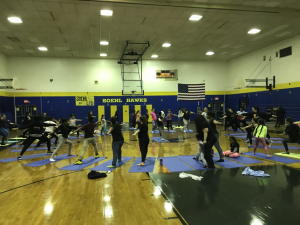 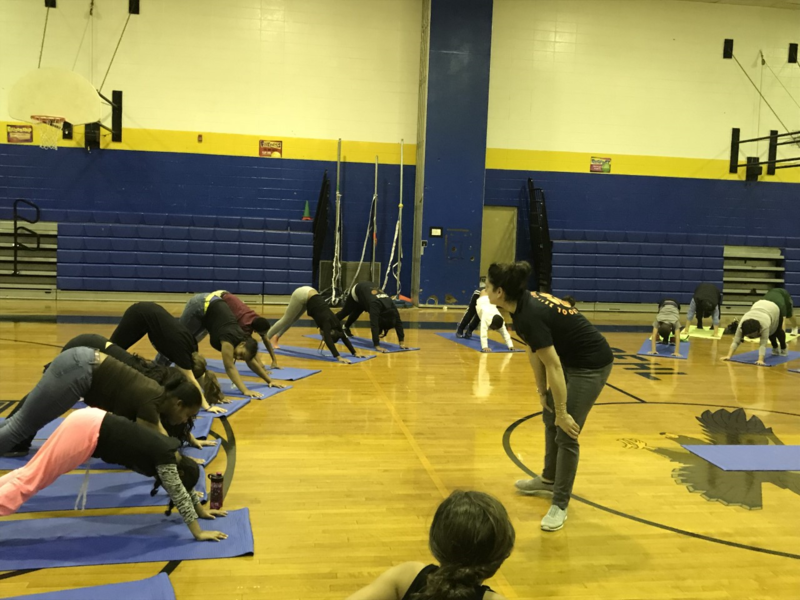 On Thursday, October 26, the 21st Century Community Learning Center coordinated a Family Yoga Night in continued celebration of the ‘Lights On After School’ initiative. 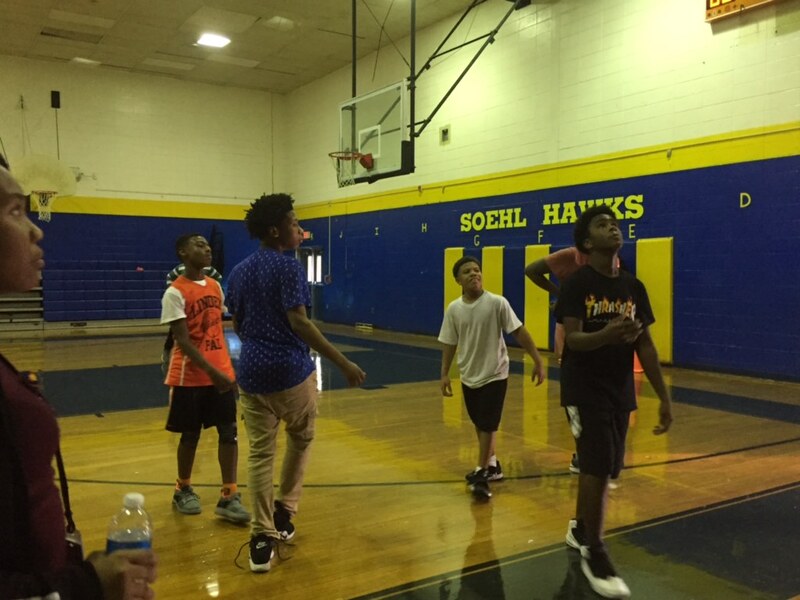 Over sixty people attended the event held in the Soehl Middle School gymnasium. Gertrude Scocozza, a certified Yoga Instructor, led an hour-long class for students and their families. 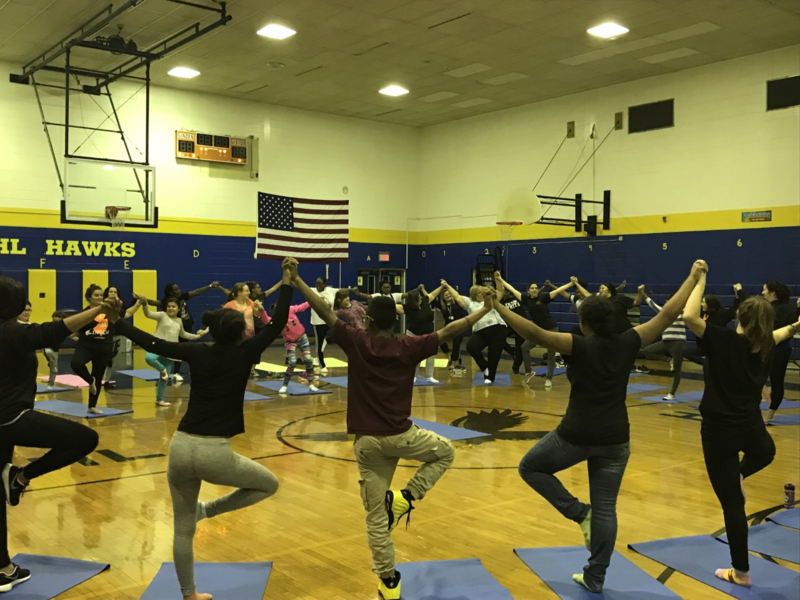 Participants learned a variety of yoga poses that integrate breathing and movement. 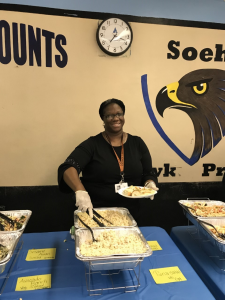 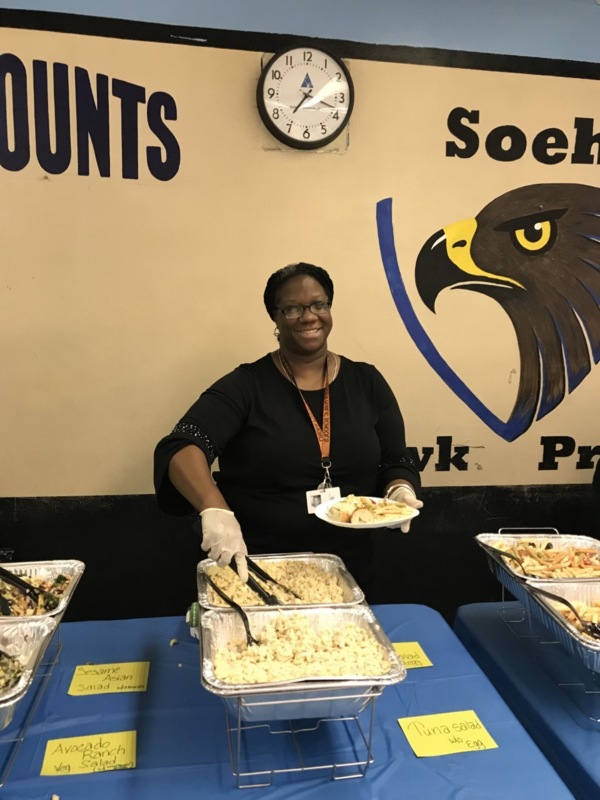 When class was over, everyone headed to the cafeteria where staff member Elizabeth James served a buffet of salads and other healthy treats. 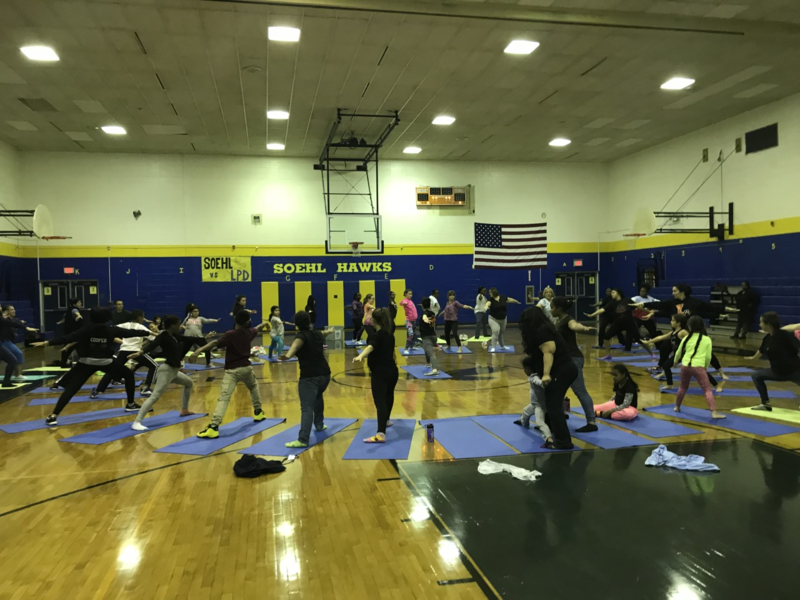 The evening ended with a raffle, and several lucky winners took home yoga-themed prizes. 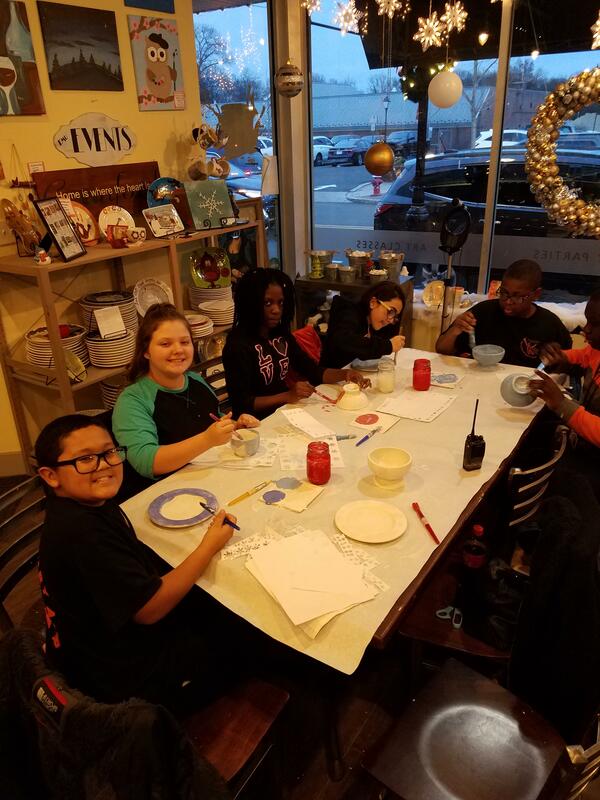 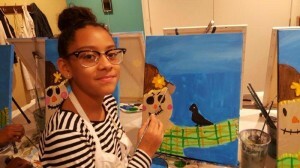 The 21st Century Community Learning Center recently coordinated a class trip to the Fire Me Up Art Studio in Cranford. 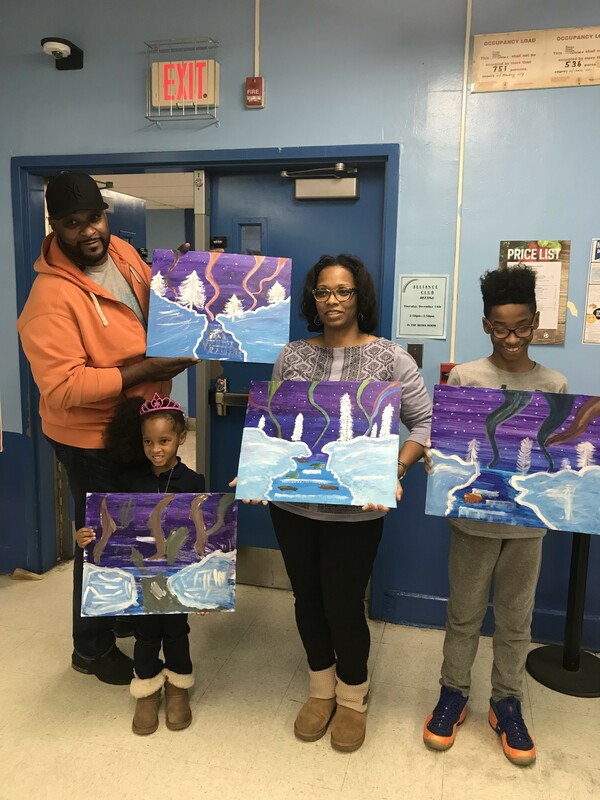 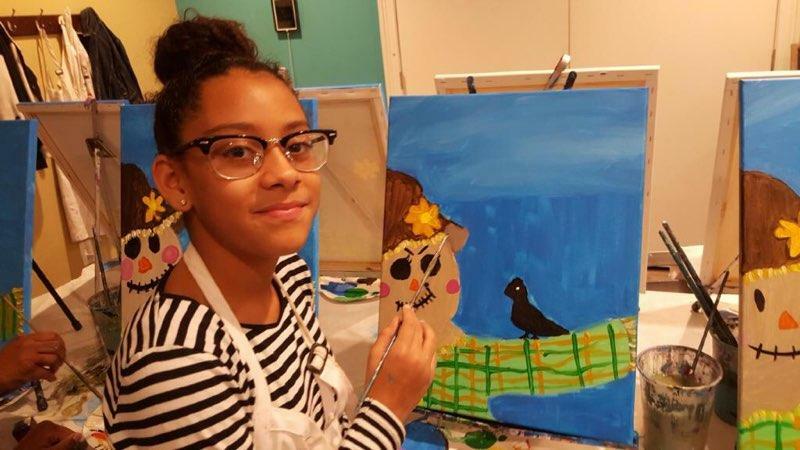 Students and their families participated in a fall-themed painting class. Pictured below are Sophia Molina and Yadira Marshall with their not-so-scary scarecrows. 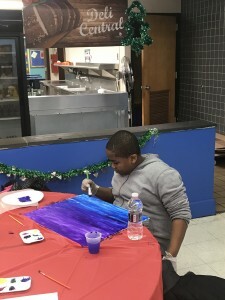 The 21st Century Community Learning Center coordinated a poster contest to support the ‘Lights On After School’ initiative. 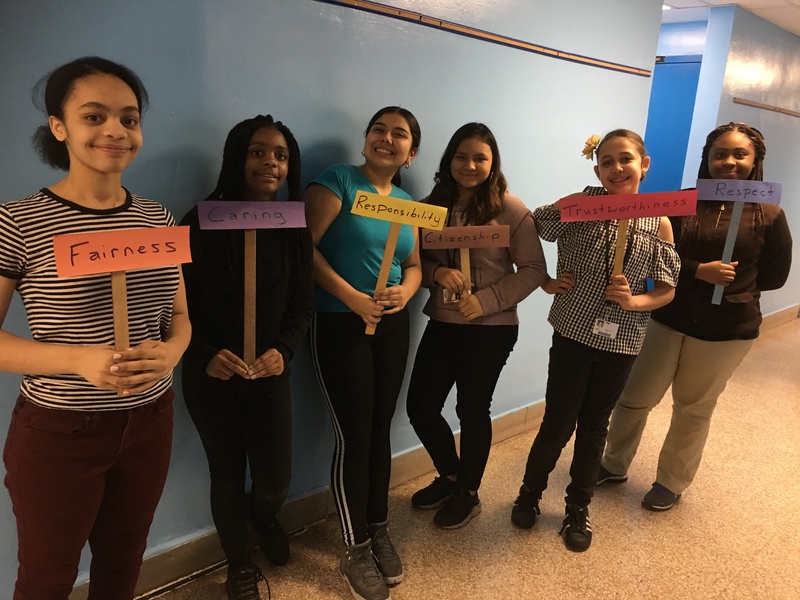 Students had to create a poster that reflected their after-school experience. Six winners were selected for their creativity, and the posters will be on display at Soehl Middle School. 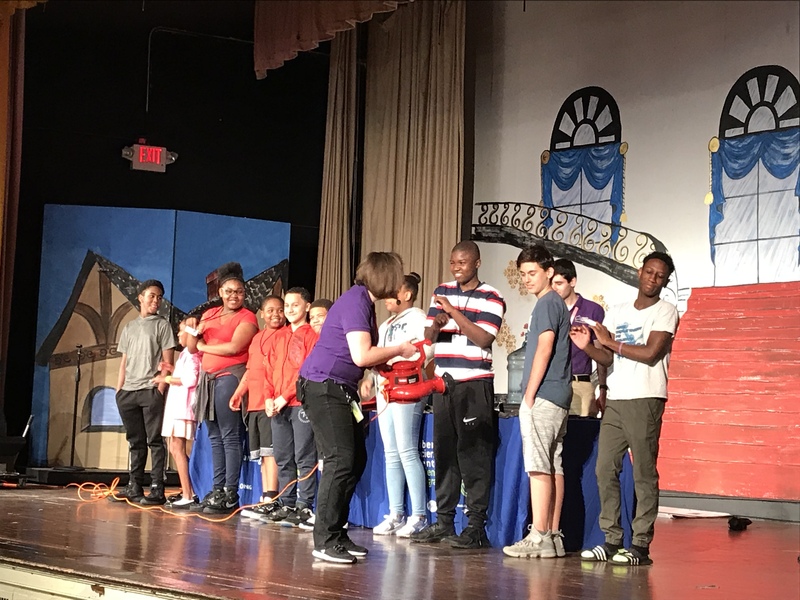 Winners received a pizza party, certificate and a gift card for all their hard work. 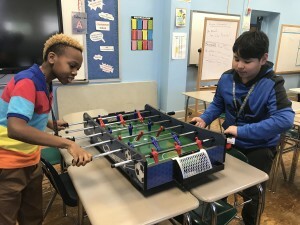 Launched in October 2000, Lights On After School is the only nationwide event celebrating after-school programs and their role in keeping kids safe, inspiring them to learn and helping working families. 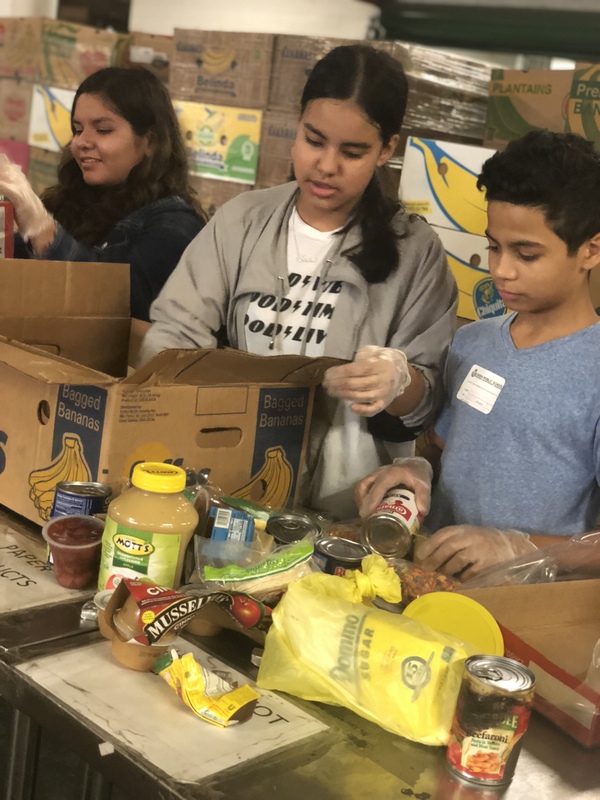 This campaign has become a hallmark of the after-school movement and sees more than 1 million Americans celebrate at more than 8,000 events across the country. 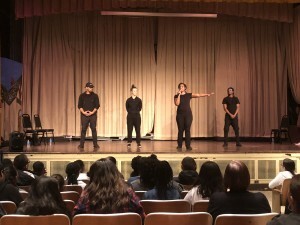 Pictured above (left to right) are Tyasia Knight, Fatime Hussein, Abigail Meima, Romina Justiniano, and Jaina Martin-Cooper.